This is the C page of our A to Z guide to plants -- how to care for them, landscaping with them, and cooking and healing with them. 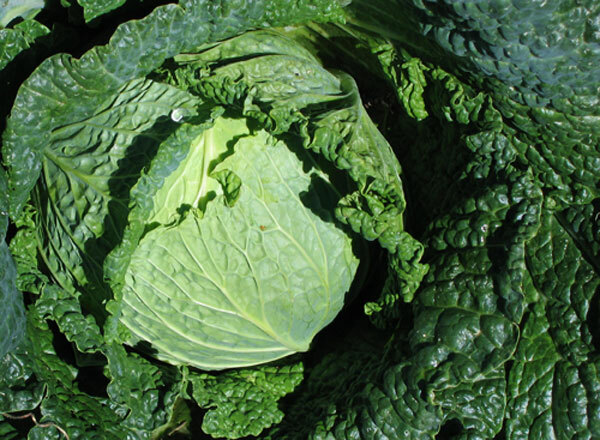 Cabbage is a wonderful and very adaptable vegetable; use it in salads, soups, Chinese egg rolls and more. But, it seems to me that the flavor of cabbage really requires growing in a cool or cold climate. 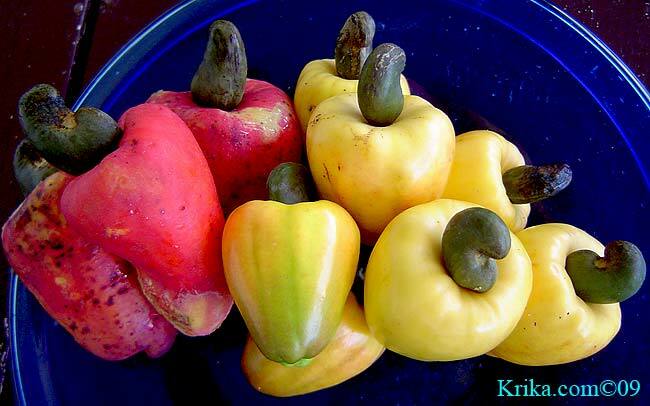 Those that I've tasted that were grown in the Caribbean just weren't worth eating, even the ones we grew one year in our own garden in Montserrat fell short of what we were expecting. Benefits: Cabbage is in the same general family as broccoli and cauliflower. All of them provide similar benefits and nutrients. Prepared fresh and creatively they are all delicious and serve well as what my mother always called "roughage," something the digestive system requires to be healthy. Like just about everything green, cabbage has lots of Vitamin C, but also Vitamin K which helps blood to coagulate if you have a wound and plays a role in bone health as well.. Planting and Care: Although I can't recommend cabbage planted in a warm or tropical environment, if you wish to do so start your seeds in a small movable seed bed where the emerging plants will be protected from mid day sun. Keep the soil moist and use liberally a liquid fertilizer like Miracle Grow. Transplant to the garden when starter plants are about 4" tall. Plant them in good compost rich soil and get ready to combat the bugs and caterpillars with hot pepper or neem sprays. Benefits: Apparently red cabbage shares some of the same remarkable benefits that we find in blueberries. 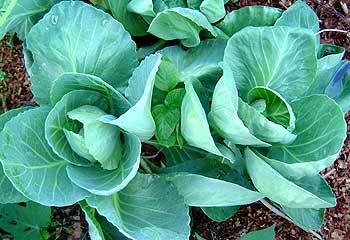 It is also said to be much more beneficial than green cabbage in reducing the risk of cancer. Planting and Care: Start your seeds in a small movable seed bed where the emerging plants will be protected from mid day sun. Keep the soil moist and use liberally a liquid fertilizer like Miracle Grow. Transplant to the garden when starter plants are about 4" tall. Plant them in good compost rich soil and get ready to combat the bugs and caterpillars with hot pepper or neem sprays. Benefits: This is a very long list. My recommendation is that if you like it, eat lots of it. Planting and Care: Plant your seeds about one month before you'll have the last frost in your area. Let your protected seedlings get used to cooler temperatures in the garden before planting. Otherwise pretty much follow the seed packet's directions to have a good crop. 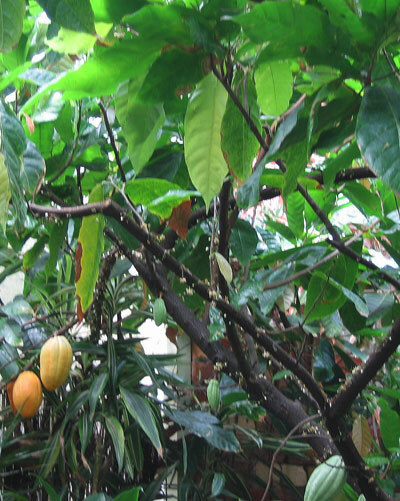 Cocoa Tree Theobroma cacao L.
Reaching a modest height of only 25 feet the cacao likes it shady so tall trees are inter-planted to provide that environment. 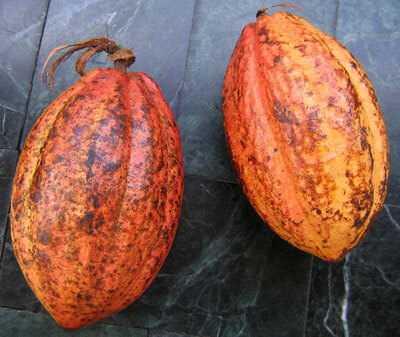 Once trees are established, cacao pods can be seen growing from all parts of the older wood over time ripening to a brownish red. The tree will usually begin bearing in four years, fully maturing in seven to ten years, and then bearing for fifty years or more. 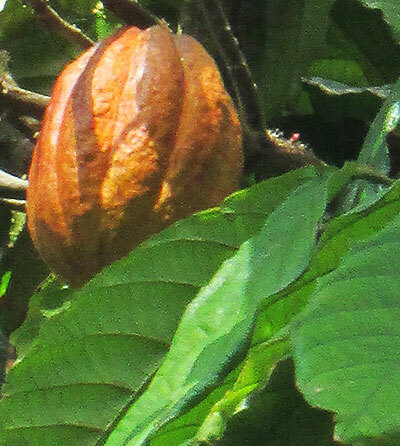 When cacao is eight to ten years old, it is time to prune the top branches to encourage lower and younger branches to develop. 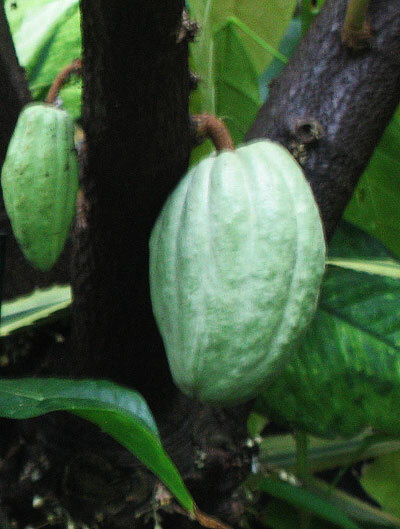 A healthy cacao tree produces two crops each year. Lately promoted as being heart beneficial, chocolate is now also credited with lowering blood pressure and playing a part in the release of serotonin, the feel good brain chemical. As well, chocolate has plentiful magnesium which is essential for bone health -- one ounce a day should do the trick. Be sure it is dark chocolate of the finest quality. Chocolate has recently been much touted as a miracle cure much like green tea and garlic have been. This latest star of the health gurus is maybe the best as who in the world wouldn't love chocolate. If it doesn't save your life, at least it will make it a little sweeter. Photographed: To the left at the Grafton Bird Sanctuary in Tobago. Immediately below at the Winter Garden in Auckland, New Zealand and after that at our former home at Lake Atitlan in Guatemala. 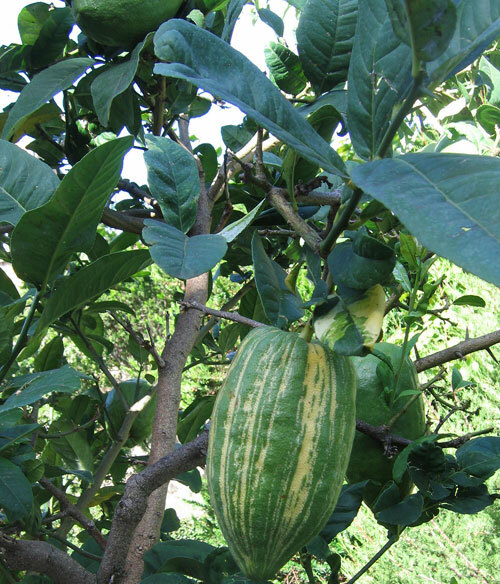 Planting and Care: Plant your cocao tree in the shade in compost rich soil and give it routine rainfall or watering. These are appealing trees and once mature the fruits will give you no end of astonishment in how they grow. This is only for the truly dedicated and maybe a little foolhardy gardener. I didn't try it myself and honestly can't recommend it, but if you have the time and determination give it a try. I'd love to hear how it goes. Once you've opened your pod and retrieved the probably gooey mess inside give them a rinse in cool water to remove as much of the goo as possible. Let the seeds dry and rub with course sand to remove the last of the now papery seed covering. Now comes the tricky part. Place the seeds in a clean glass or stainless steel tray and cover with netting to eliminate the possibility of fruit flies finding the seeds. Keep the seeds moist and warm and shaded. I would recommend using a spray bottle with warm water to dampen the seeds several times a day. Do not let them sit in water. When a small plant emerges place it in a 3 ft wide plastic bag filled with a good composted soil. Put holes in the bottom of the bags for drainage. Leave the little trees each in its own bag for about six months before transplanting them. Toast fresh cocoa beans over medium heat in a Mexican comal or other heavy curved or flat bottomed pan. Remove the seed coating and crush. Mix with minced almonds, fresh grated coconut, sugar and a bit of vanilla or almond extract to make a wonderful homemade candy. Calabash Tree Crescentia cujete L.
This small not particularly attractive tree produces the equivalent of the North American gourd as you can see in the photographs below. 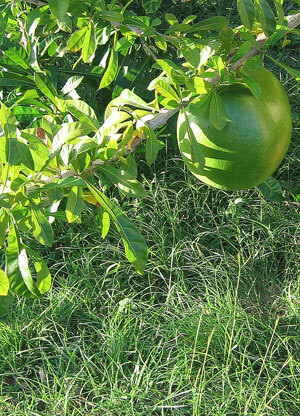 From: The calabash tree is native to the West Indies or to Mexico and Central America depending on what source you have found. 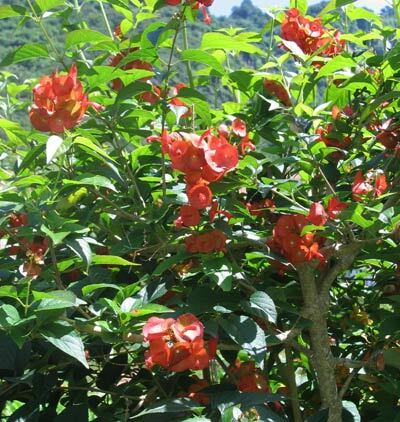 It is not a tree that you would choose to have in your garden unless you have a formal public Caribbean botanical garden. Fruits: Treated much like gourds grown in northern climate gardens, the hollowed out dried calabash fruit once served the original Caribbean and/or Middle American populations as dishware, storage containers, musical instruments and more. 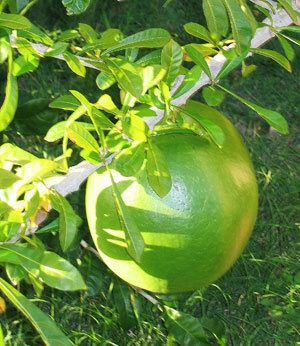 Today the calabash has become a tried and true staple base for creating Caribbean "tourism product." 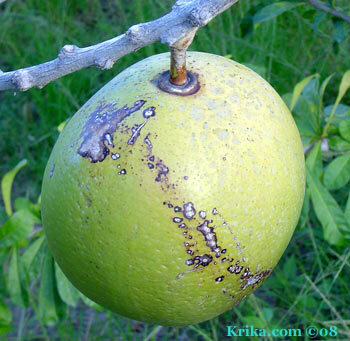 As a reason for visiting any one of the islands you will see "Calabash Festivals" advertised. These events are product, not "traditional" cultural events; nonetheless, they can sometimes be amusing. In Montserrat in our last few years there, we saw the Department of Tourism devote many of its resources to celebrate its newly created annual "Calabash Festival." Who doesn't come back from a Caribbean holiday without a sunburn and some sort of calabash souvenir? Photographed: At a neighbor's home in Old Towne, Montserrat. Planting and Care: If you wish to have one of these trees, plant it in full sun and water it weekly until it has really settled in. 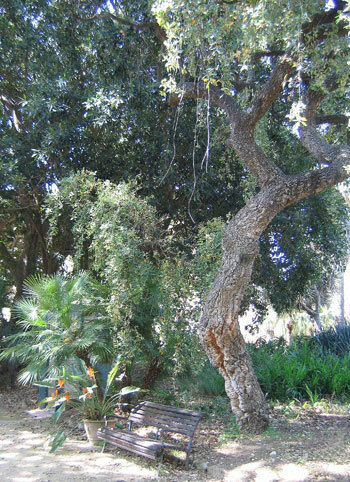 Then sit back and enjoy this very hardy drought tolerant tree. 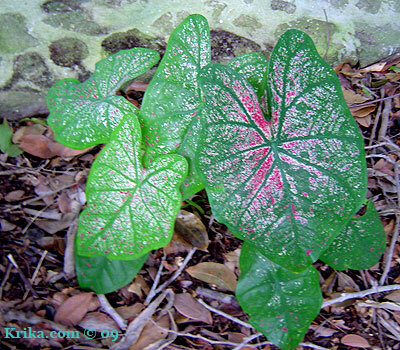 **Caladium Caladium X hortulanum or Caladium bicolor (Ait.) Vent. 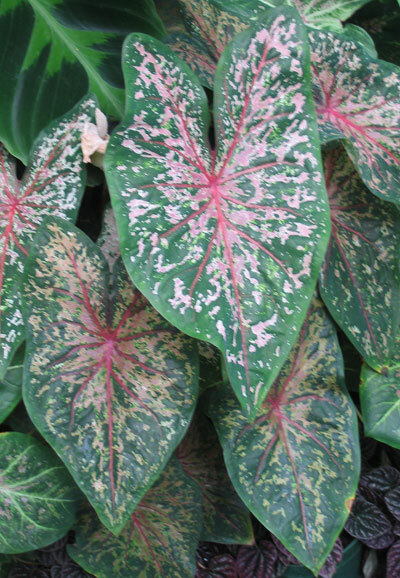 This is a variegated leafy plant often sold as a house plant in colder climates. I had several over the years while living in New England. From: They are said to have originated in South America, but they must also be native or at least natural to Montserrat since they will spontaneously appear here and there when there is continuous rain. We had the common varieties that I have seen and owned as houseplants, but we have one variety that truly seems to have been painted by an artist. It was a gift from good friends leaving Montserrat so we have a special attachment to it. Photographed: In our shady terrace garden at our former home in Montserrat and at the Winter Garden in Auckland, New Zealand. Planting and Care: It grows well in the shadier parts of the garden and seems to be a very hardy survivor. When transplanting one, don’t plant it too deep. It probably will spread of its own accord in warm moist garden areas. 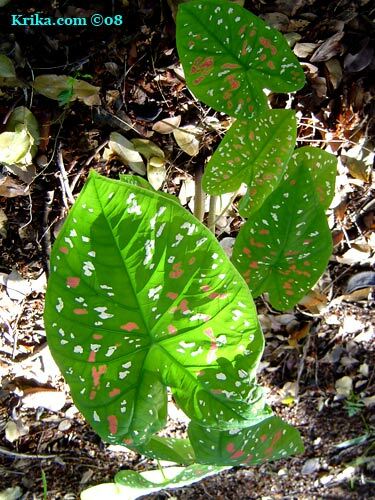 Warning: Caladium leaves are poisonous. 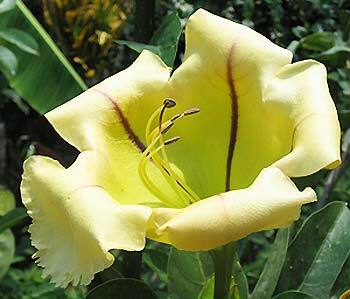 This lovely annual plant will flower continually in color shades from heavy cream to yellow to orange. Though they are said to grow to 18" in height, mine have always been more in the 12 to 15" range. 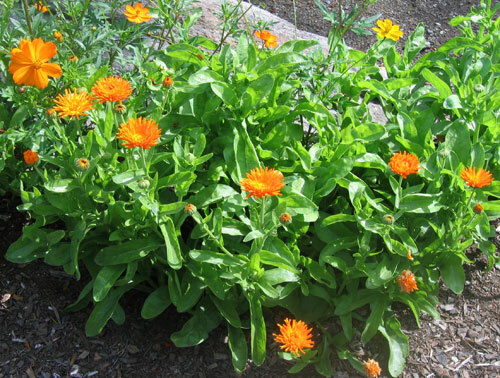 Benefits: Not only is the calendula pretty and easy to grow, it also is said to have medicinal benefits both taken internally and applied externally. From: The Mediterranean through to southern Asia. 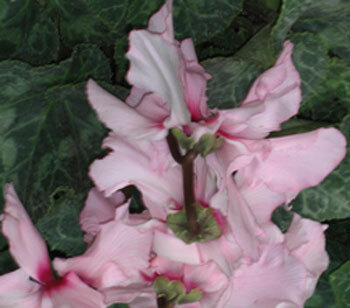 Planting and Care: This is an easy to care for plant that will delight you with its continual flowering. Plant it in a fairly sunny spot in the garden and make sure it receives regular rainfall or watering. Given half a chance it will reseed. Benefits: None that I found. 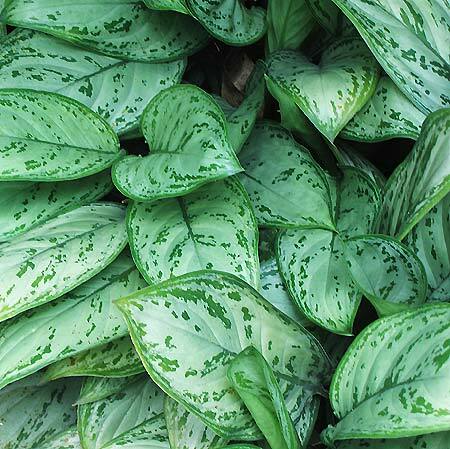 Planting and Care: This bright and unusual plant will grow in full sun or dappled shade reaching a height of less than 2 feet and spreading from 1 to 2 feet. 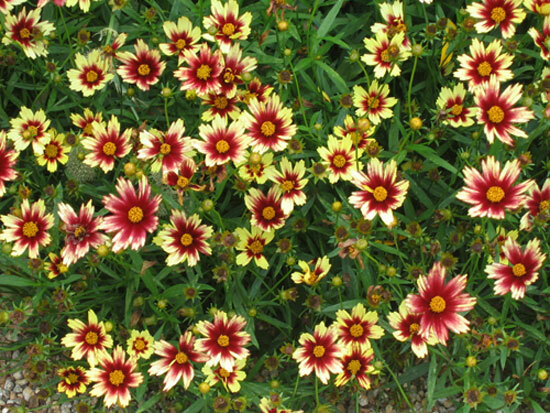 It prefers moist rich well-drained soil and will appreciate good amounts of rainfall or watering. Calla lilies are about the most perfectly beautiful flowers in the world and they have been enshrined on canvas by such internationally renowned artists as Diego Rivera. We had them to celebrate our wedding and whenever possible we choose to be surrounded by these most elegant blooms. 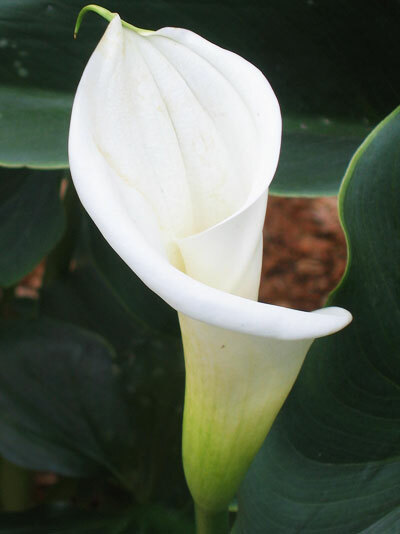 Benefits and Risks: Do take a little care with them if you have children or plant eating pets as callas are poisonous. 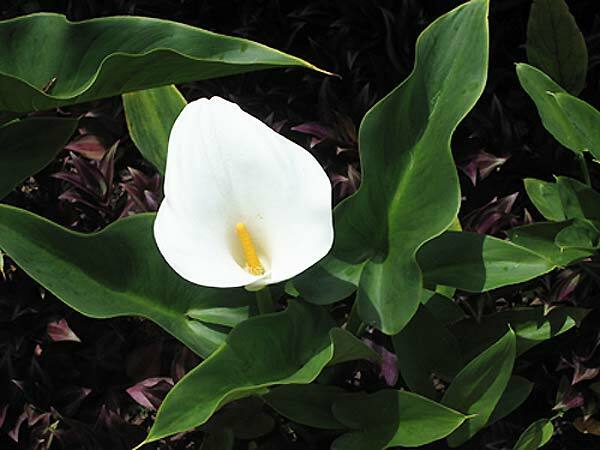 Planting and Growth: The calla prefers full sun, but will also grow well in partial shade. Whether in sun or shade it requires lots of moisture. Photographed: Along the roadside at Hacienda San Buenaventura at Lake Atitlan in Guatemala. Benefits: Oddly enough this is the most fire resistant pine in existence. Its most wonderful benefit is just plain beauty as you can see in the photographs below. 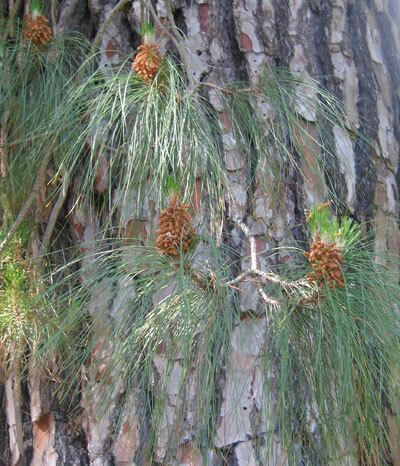 Planting and Care: This is a warm climate pine only. Like me it does not like the cold, any kind of cold. 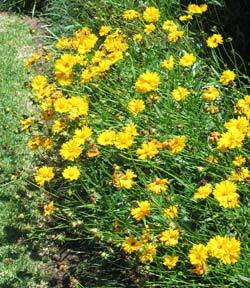 It is tolerant of drought, but will grow 3 feet a year if given a less difficult environment. If you have space and an appropriate climate, buy small trees and get the best local advice from the plant store or from a nearby University. This is a perennial deciduous bush/small tree with brilliant yellow flowers that grow up stems that stand out from the top of the foliage. The flowers are dramatically lumpy looking and curiously very appealing. 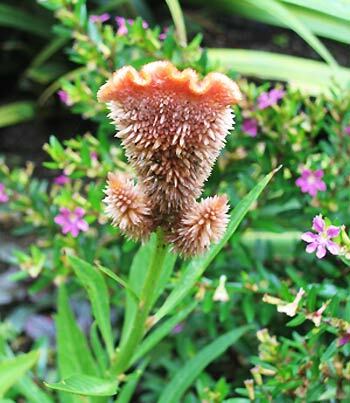 Benefits: The candelabra has both antibacterial and anti fungal qualities, hence one of its names is "ringworm tree." Before steaming full ahead to treat any fungal or other disorders you may have realize that the plant is also considered toxic and exercise care and good judgment in its use. Photographed: I regret very much not having a photogram of this plant. It is stunning and I haven't seen one since leaving Montserrat. 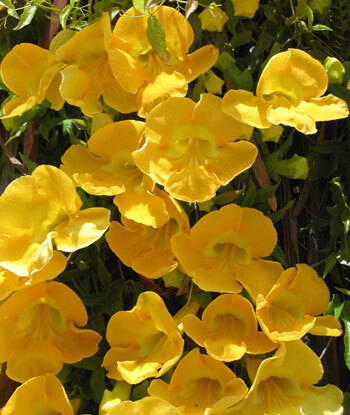 Planting and Care: This plant is one that grows in a hot Caribbean environment with blistering mid-day sun and not nearly enough water and it loves every minute of it, producing its startlingly yellow flowers usually in the late summer or early fall. The bush grows to be about 10 feet tall and just as wide. It is not frost hardy. Please Note: Once established these bushes can withstand severe droughts. This is an especially wonderful trait given the unpredictability of today's weather patterns. This charming biennial took until its second year to blossom, but when it did it clearly was worth the wait. If you plant them every year you'll always be able to enjoy them. My seed packet said they might need staking which as you can see in the photograph was a bit of an understatement. Benefits: If you are raising bees for making honey these flowers will make it especially sweet. 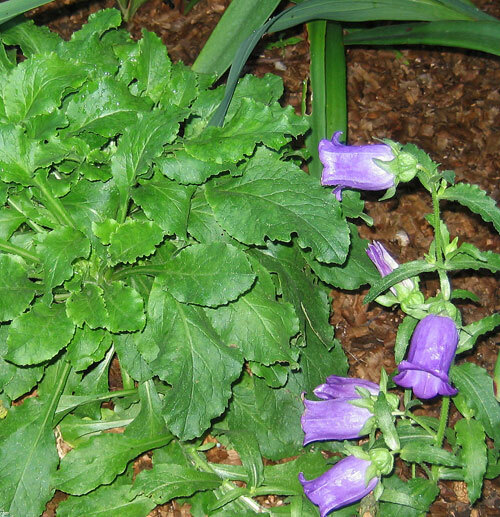 Planting and Care: Canterbury bells prefer to grow in a semi shaded part of the garden and they like to be well watered and set in well drained soil. They are said to be not well suited to tropical climates, but if you ensure that they are always well watered and receive only morning sun I think they'll do just fine. 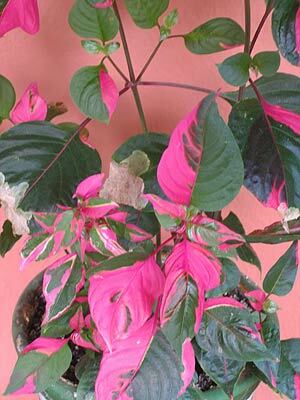 This is an attractive plant especially because the colors of its brilliant flowers blends perfectly with the deep green of its foliage. Planting and Care: This is essentially an easy care full sun sort of plant. It seems to reproduce or spread freely and I'd recommend pruning/staking or some other sort of containment approach. It will do fine in a situation a bit shy on water. Coming from , capers obviously like it hot and dry -- a desert like environment is perfect. The caper bush will grow to be no more than five feet tall and it will delight you with its very pretty feathery purple and white flowers. Edible capers are pickled flower buds; usually the smaller buds are more coveted than the larger ones. 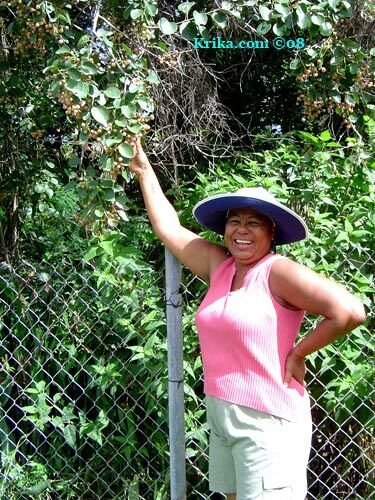 Planting and Care: The caper bush grows usually to a height of about 3 feet and it will be about twice as wide when all is said and done. 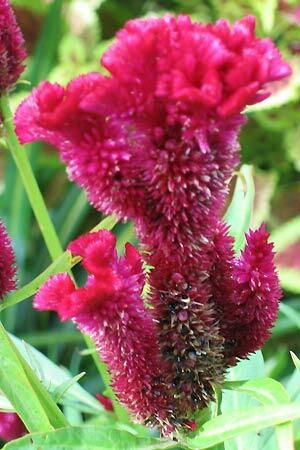 This is a perennial used to pretty harsh growing conditions and if you can match those you should have a very happy plant. Caraway is a pretty frothy foliage plant whose seeds are its best feature. We used them in making our potato bread when we lived in Montserrat and pretended we were eating a good rye bread which was not available there. 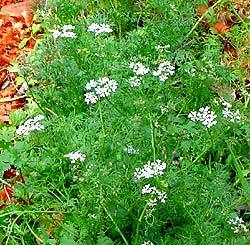 As an added benefit the roots of the caraway are also edible cooked much as you would carrots or turnips. Benefits: Aside from contributing its lovely flavor to our breads, caraway is said to be beneficial in aiding digestion. Photographed: Not yet, but I'm on the look out. Planting and Care: Caraway is a biennial meaning it grows for two years. In the first it will reach a height of about 8 inches or so, but it will grow to be at least 2 feet tall in the second year. Plant the seeds where the plants will grow permanently in a sunny or semi shady area with well drained neutral soil. Carrots are a lovely vegetable and lend themselves to many uses -- cooked alone and served with lemon butter, chopped and cooked as a sweetening base in lentil soup, raw in potato salad for added crunch or grated in cole slaw for color. They are delicious peeled and stored in a cold bag in the fridge for an anytime snack. We had no luck growing them in our garden in Montserrat, but locally grown carrots there were one of the few vegetables that grew very well. I suspect we were using a variety not well adapted to the Caribbean climate. Benefits: Carrots are a good source of the antioxidant beta carotene a type of vitamin A. This is a super skin renewer and bone builder and maybe even an additive to your immune system. Carrots also provide vitamins B, C, and E, and minerals iron, magnesium and calcium. They may also be curatives for kidney and bladder problems, as well as having been used as a treatment for lower intestinal parasites. 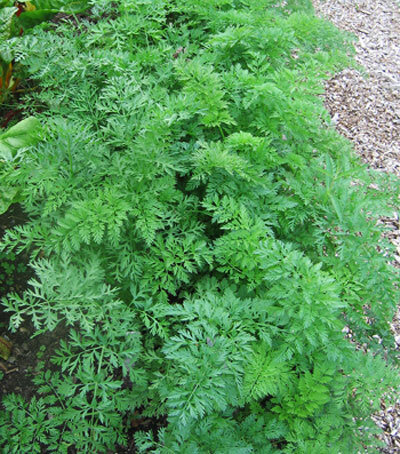 Planting and Care: Carrots were difficult for us to bring to harvest in the Caribbean. There were so many underground pests and such typically heavy soil that we had no luck at all. The one time they were off to a good start, feral chickens dug them up. Like so many other vegetable plants, carrots require full sun and an even amount of watering. Insects are not generally a problem above ground. And if you run into the same problems that we had, consider growing the other very orange vegetable, sweet potatoes. They grow like weeds in a hot climate and require very little care. Special note: When you harvest your crop, cut off the leafy tops and the carrots will last longer in storage. Benefits: Who would have thought these flowers were edible? They'll add a spicy flavor and visual appeal to your salads as do nasturtiums. Use only flowers from your organically managed garden to avoid any unwanted pesticides or other noxious chemicals. Photographed: Not as yet, but I'm on the lookout. Planting and Care: Carnations like a well-drained, neutral to slightly alkaline soil, and full sun. Normally this flower will be no taller than one and a half feet and you can buy annual or perennial varieties for planting. They are frost hardy, but require a 4" mulch to see them through the winter. 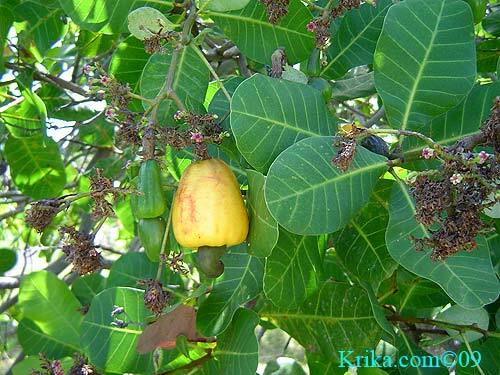 **Cashew Tree Anacardium occidentale L.
In Montserrat and I suspect in most of the Caribbean the cashew tree is called a cherry tree for its unusual fruit, a three inch or so shiny soft red or yellow pear shaped fruit which is eaten fresh and used in local soft drinks. 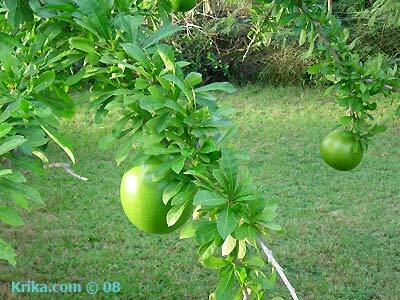 While hanging from the tree, the fruit bears a cashew encased in a tough fibrous covering at its end. 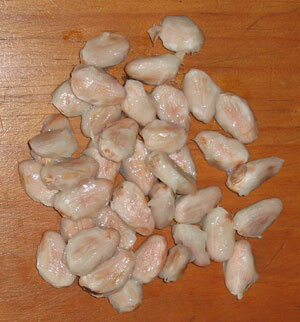 These seeds are harvested, toasted and the covering carefully removed to get to the delicious nuts. Benefits and Cautions: Along with the mango, this tree is a member of the poison ivy family with the same potential to give you a nasty skin problem. The hulls of the cashew nut contain cardol oil which blisters the skin and is very toxic. This poisonous oil is used externally in the treatment of skin infections, herpes lesions and to heal warts and corns. 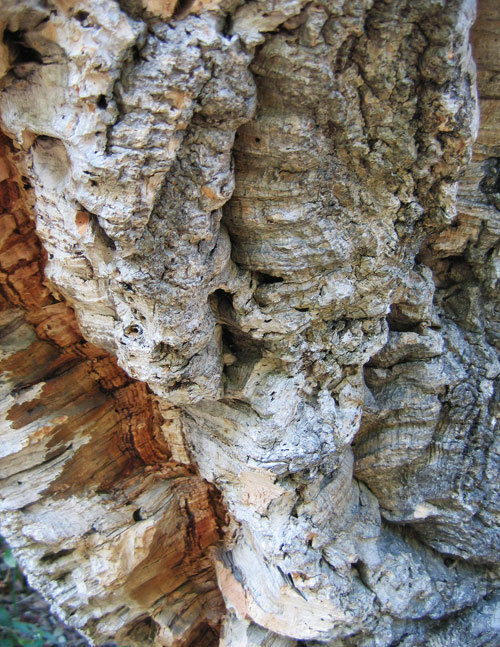 The bark has been used in the treatment of an assortment of diseases – from diarrhea and diabetes to some of the symptoms caused by syphilis. Aside from being truly delicious, cashews nuts are 15% protein, 40% oil and high in Vitamin C.
From: Native to tropical America, the cashew has now spread throughout the Caribbean. Photographed: The yellow fruits above were photographed at a neighbor's home in Olveston, Montserrat, and the photograph below at our former home in Montserrat. 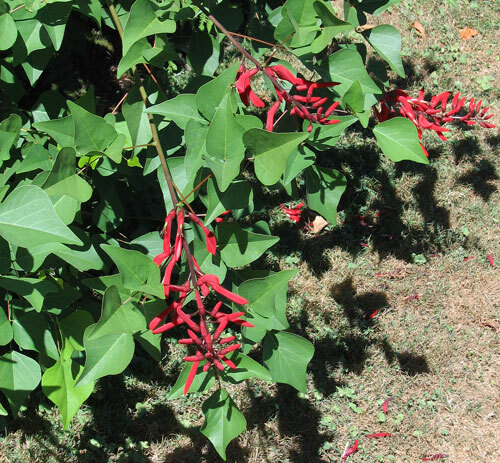 Planting and Care: The cashew tree likes it dry and sunny. Depending on conditions, the cashew will grow to between twenty and forty feet, yielding its first crop in three years. 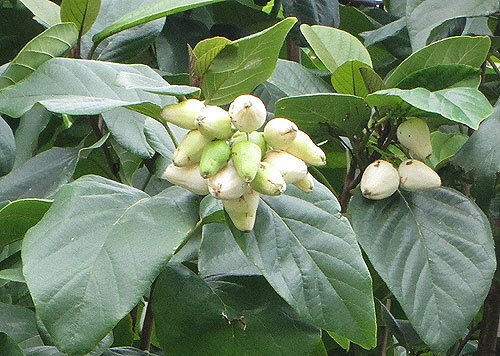 Cashew trees go from flower to fruit in just two months. 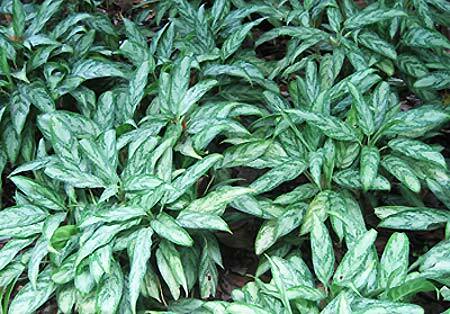 This green leafy plant grows to be about two and one half feet tall and spreads with separate shoots as it matures. Ours was about two feet in diameter and lived in our very shady terrace garden at our former home in Montserrat. It is a real survivor -- drought, volcanic ash falls and heavy duty acid rain (enough to literally melt many plants in the garden) -- none of these seem to have phased it one bit. I hope I have identified this plant correctly, but it may be a Dracena thaloides. I would very much like to hear from you if you can help in distinguishing between these two plants. Photographed: Not yet, but I am looking in all the gardens we visit. 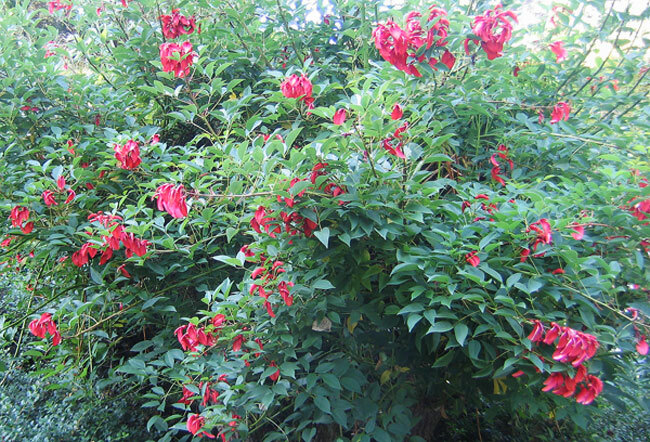 Planting and Care: This is one of those wonderfully adaptable plants and one that thrives in shade. As for its soil requirements, it is just as adaptable doing equally well in soil that is slightly alkaline to slightly acid. 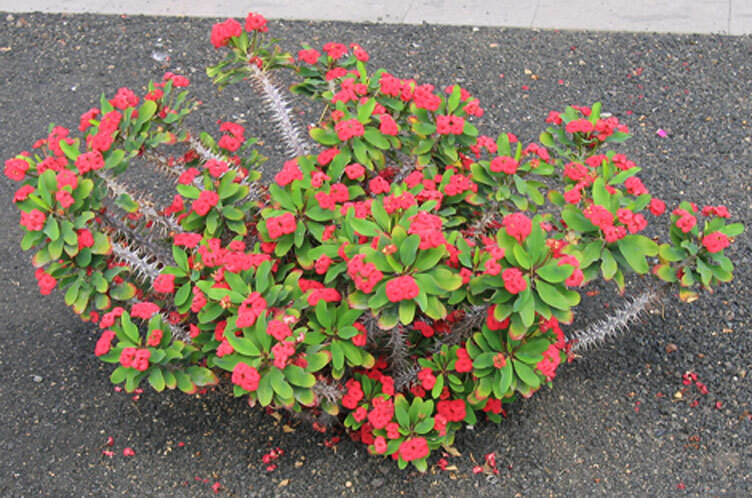 This is a pretty plant because of its appealing foliage more than for its blossoms. It will grow to between ten and twenty feet tall with very little care. 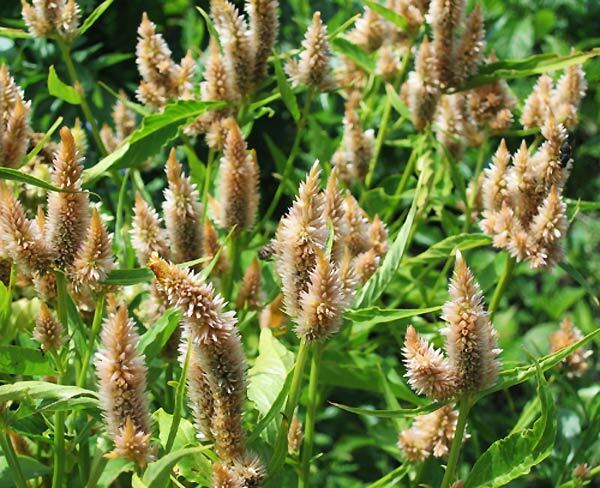 Benefits and Dangers: Although the seeds are considered very poisonous, leaves from this plant are commonly used in medicinal cures in South America most probably externally. 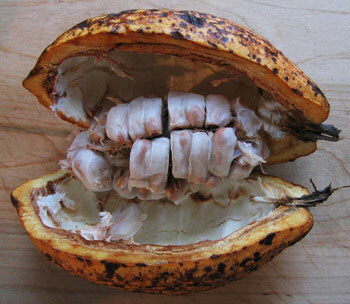 "If castor beans are chewed and swallowed, they can release ricin, one of the most toxic poisons known to man. 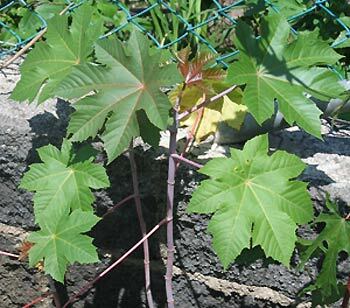 Eating just one or two castor beans can easily cause the demise of the eater. Ricin has been investigated as a warfare agent, and has even been employed by secret agents and assassins." Photographed: At the Hotel Riviera on Lake Atitlan in Guatemala in 2010. Planting and Care: This plant will do well in full sun or semi shade with only a moderate amount of water. 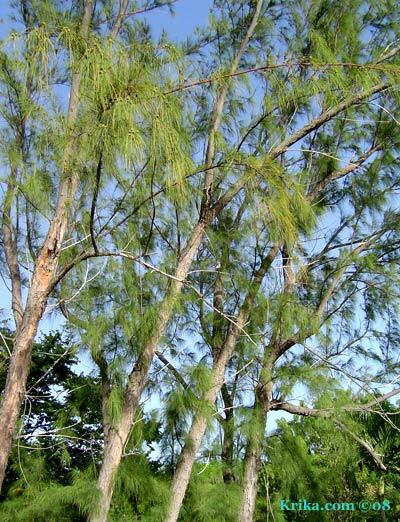 This is a willowy pine like tree very common in the Caribbean. It is a sturdy survivor of the hot and sunny, windy and stormy and then drought ridden and salty Caribbean island environment. It will quickly grow to be about sixty feet tall and is considered much like the neem tree; nothing lives on it or under it. 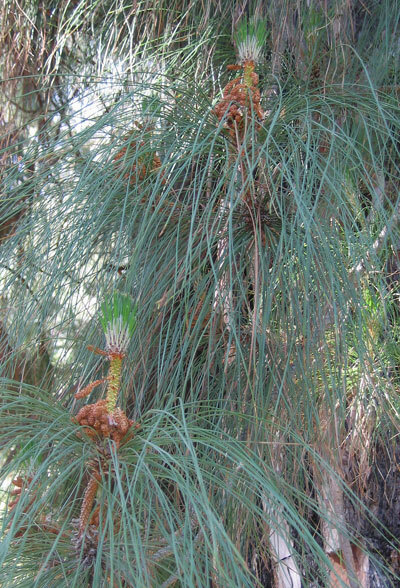 From: The casuarina is from Australia and other warm areas and islands of the Pacific Ocean. Photographed: On the left at a friend's home in Montserrat and on the right in Crown Point, Tobago in 2018. 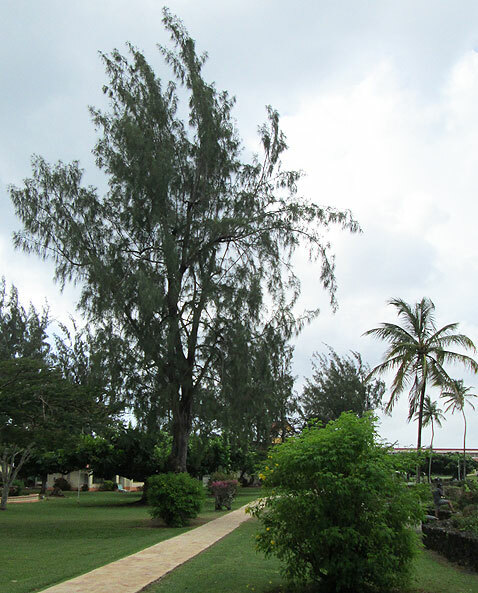 Planting and Care: These beautiful trees are well adapted to island life. They will do well in full sun, in sandy or other relatively poor soils. I have a particular fondness for them as you may have already figured out. Cathedral Windows See CALATHEAS above on this same page. Once finding out what this beautiful vine was, I learned that its flowering time is fairly short and in many places it is considered a pest plant. That being said, I thought it was glorious in bloom (I especially love yellow flowers) and with a little bit of attention it can be controlled. Photographed: In Eraclea Minoa in Sicily, Italy, in 2012. 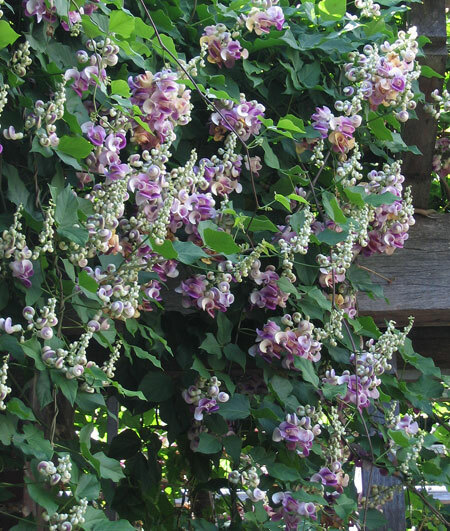 Planting and Care: This fast growing and tenacious vine is perfect for covering unattractive walls in a hurry. Plant it in full sun, give it routine watering or rainfall and it will be off and running. Once established, it will be somewhat drought tolerant. My #16 Vine Mystery was solved by Glenn a visitor to my website who lives in Brisbane, Australia. Many thanks for your help. Cats Whiskers closely resemble cleomes from a distance, but I think they are more interesting when you get up close. I recall that they are about two feet tall or so and the flowers are just what you would imagine when you think of the plant's name. 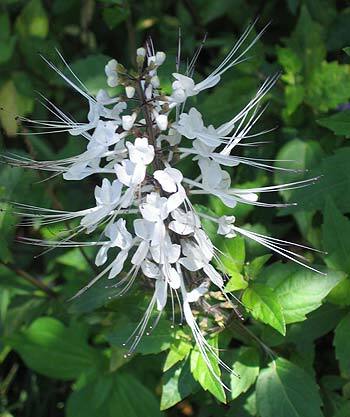 Benefits: Apparently, aside from giving us a bit of beauty in the garden, cats whiskers also gives us medicinal benefits. 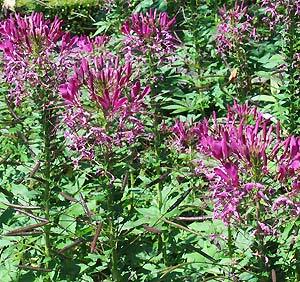 These plants are also attractants for bees, butterflies and hummingbirds. 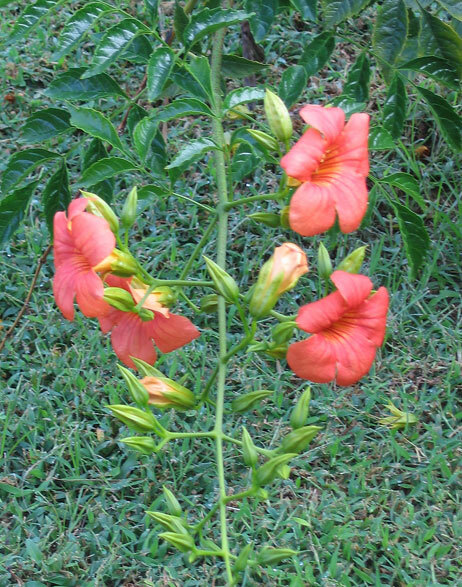 Planting and Care: This plant hails from a tropical environment so it is best to keep this in mind when planting this beautiful perennial. Grow it in full sun with a bit of shade and keep the soil always moist, but not wet, and you should have a happy plant. Benefits: This is one of those cruciferous vegetables that like other members of the family will stand you in very good nutritional stead. If you think cancer is in your future, put cauliflower on your shopping list or better yet plant it in your garden. It is a big plant, so it needs a bit of room, but you won't be disappointed with its taste picked fresh from the garden eaten either raw or lightly cooked. In any case it is a good source of vitamins A and C, along with folic acid. Planting and Care: Cauliflower requires full sun with a soil rich in well composted materials. Select a site with at least 6 hours of full sun. You will have more success if you plant seedlings spaced about a foot and a half apart. Celery has got to be one of the best foods in the world. It can be eaten fresh from the garden, chilled in a salad, as a fresh leafy swizzle in a bloody mary or cooked in soups and stews. Potassium and vitamins B and C are just a few of the accepted benefits of celery. Now it may be a good way to moderately lower your blood pressure and even to attract women. So, fellows eat up and hope for the best. WARNING: Celery has made it to the top ten of pesticide, herbicide and fungicide ladened foods. Grow it yourself or buy certified organic only. Harvesting: We never pull up a whole plant, but carefully cut what we need from the base of the plant leaving the rest of the plant to continue growing. This worked extremely well in Montserrat where the plants never flowered. At Lake Atitlan in Guatemala, I saw my first celery plant flowers. I was pretty thrilled until I realized I'd be losing the plants. I've now been cutting off the flowering stem for use in stews where its intense flavor is wonderful. I'm hoping the plant happily carries on not having figured out it has been tricked. Planting and Care: Celery does not mind being planted in a large clay pot or even a plastic bucket. In a clay pot about 15 inches across the top and about 15 inches deep, you can comfortably plant four celery plants, spacing them evenly. 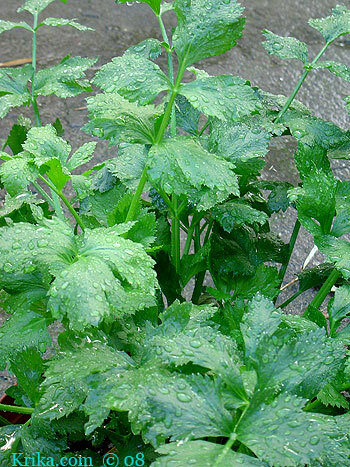 Growing celery in a tropical or Caribbean environment is not what you may be used to in a more northerly environment. Use a lot of water; soak the plants every morning! They also like sun and a lot of compost tea or fertilizer. In the tropics, planting anything in the garden is always a risk. Plant a few celery plants in a pot and then plant the rest of the flat in the garden. That way you'll have a little insurance; for sure the plants will grow in one place or the other. 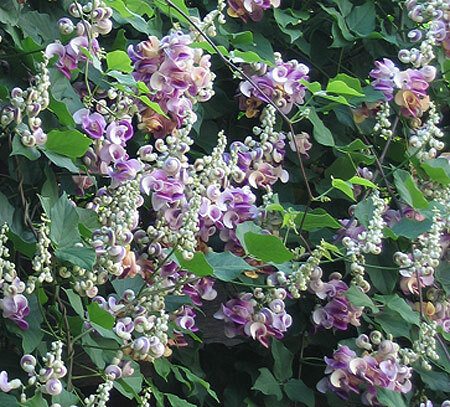 As I hope you can see in the photos, this is a lush and dramatic flowering vine. The buds and flowers are about the size of a small woman's clenched hand. Benefits: Not surprisingly with its pleasant scent it is an attractant for butterflies and hummingbirds. Planting and Care: Plant it in full sun or in a spot with a bit of shade and give it routine rainfall or watering. This is a plant whose small flowers are used in calmative tea. We don't have any growing in the garden, but will as soon as we can. It is a lovely plant and a wonderfully aromatic tea. Benefits: Cherries, specifically sour cherries, have now joined green tea and other plants as something that will save your life or drastically improve the quality of your health. I'm not personally convinced that any particular food, beverage or activity has the power to do that. That said, there is probably nothing wrong in enjoying fresh cherries whenever you get the chance. Though chickens eat lots of pest insects in the garden and leave behind valuable fertilizer, they also eat string bean flowers and young corn ears so it’s a toss up as to the value of free ranging chickens as garden helpers. Recently we learned from homesteading friends in Oregon that you can make a fenced chicken run surrounding your kitchen garden. Bugs won't get past the chickens on the way to your veggies and the fertilizer for your garden will be just a few feet away. Not a bad idea! 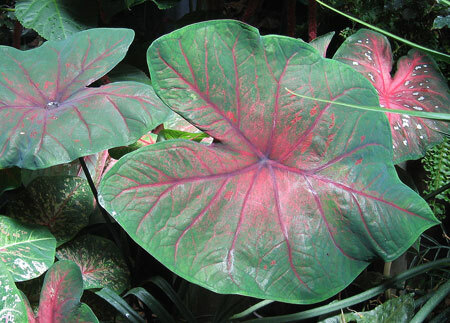 Benefits: This is a plant that is currently used to improve the lives and health of diabetics. From: The Americas, though it is now widely spread around the world. Photographed: In San Jose Pacifico, in the State of Oaxaca, Mexico. 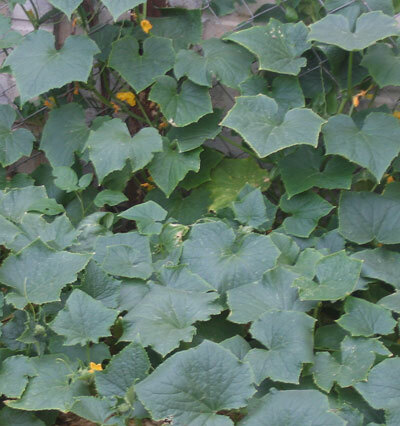 Planting and Care: In a tropical climate this is a perennial squash and all parts of the plant are edible -- fruit, seeds, flowers and greens. 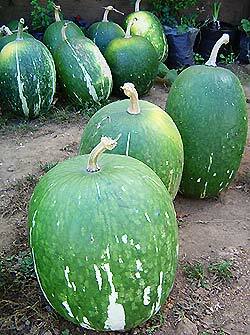 This appears to be like all other squash/pumpkin plants. We're going to see how it does for us. Plant it in a sunny place with a good water supply and it will produce enough to keep you very happy. Chiles CHILIES CHILIES CHILIES HOT! HOT! HOT! 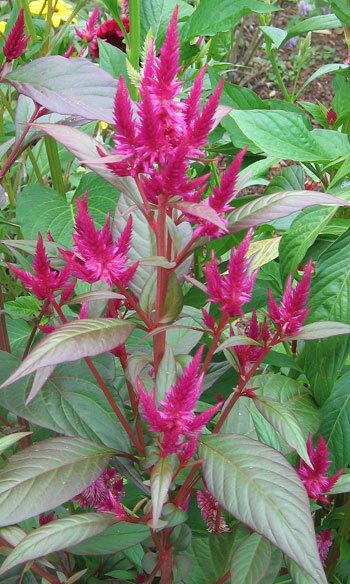 This is the low growing variety of a very attractive large perennial shrub. Planting and Care: False spirea loves moisture, but in a well drained rich soil. 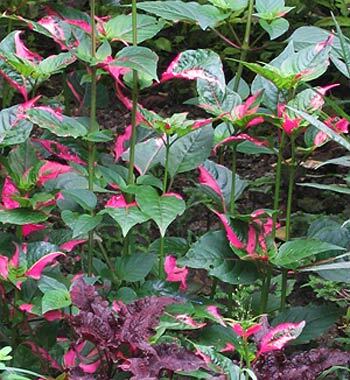 It prefers semi shade or shade even in northern climates. 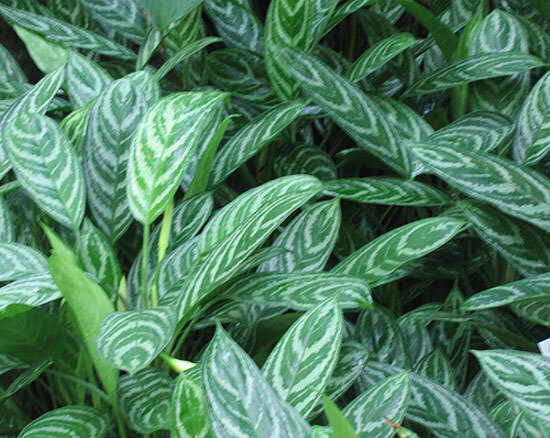 This family of plants is perfect for shady areas of warm climate gardens. 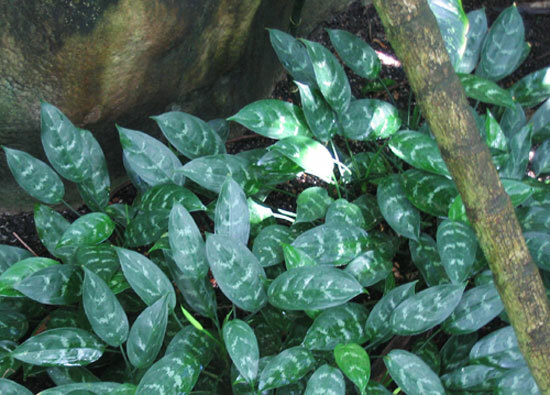 The green and white varying pattern options seems almost endless and the plants are easy to care for. 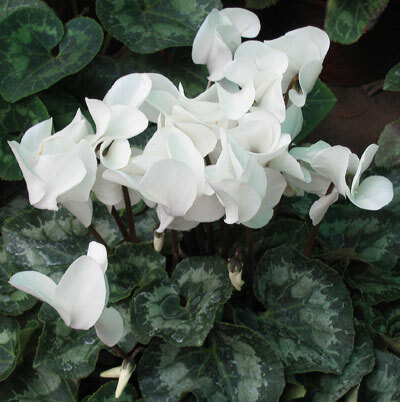 Benefits: This is one of the much valued and very easy to grow home air cleaning plants. Photographed: In the botanical garden at the Hotel Atitlan in Guatemala unless otherwise noted. 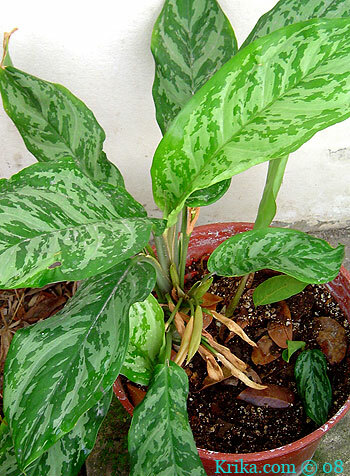 Planting and Care: Growing only to a height of about two and one half feet, this variegated green leafed plant will grow happily in the shade, but it prefers a light soil and a relatively moist environment. Photographed: At a friend's home in Woodland's, Montserrat. 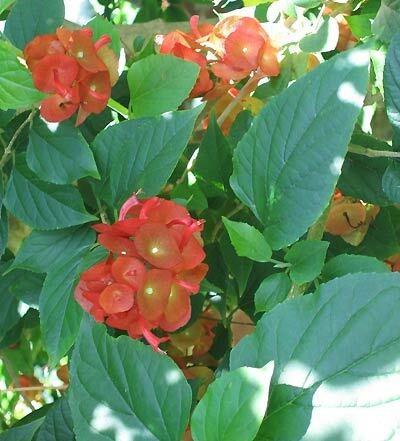 Growing up to ten feet tall this lovely bush will thrive in sun or semi shade and will delight you with its beautifully and subtly colored chinese hat like flowers. Benefits: The Chinese Hat also has the added benefit of being an attractant for birds, butterflies and bees. Planting and Care: Full sun is its place of preference along with moist soil. These conditions should make this a very hearty member of the garden, though it will also tolerate a bit of shade. 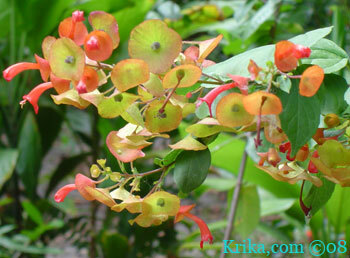 Benefits: The whole plant including its flowers is considered to have medicinal benefits. 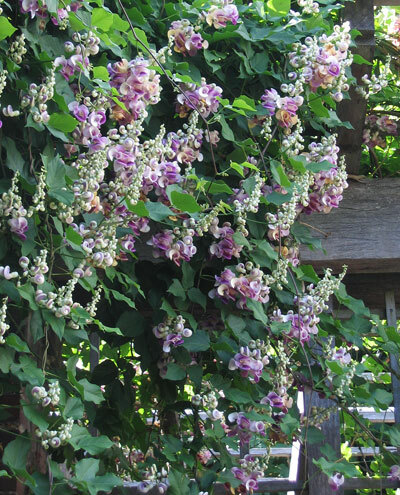 Planting and Care: This beauty is a fast growing vine up to about 30 feet that likes to live in warm places. It likes well drained soil, but otherwise isn't fussy about where it puts its feet. 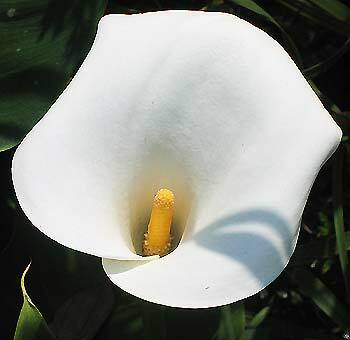 It is tolerant of wide ranging pH, but will only thrive in full sunlight with moist, not wet, soil. It might be a very good plant for those of you lucky enough to be living by the sea. 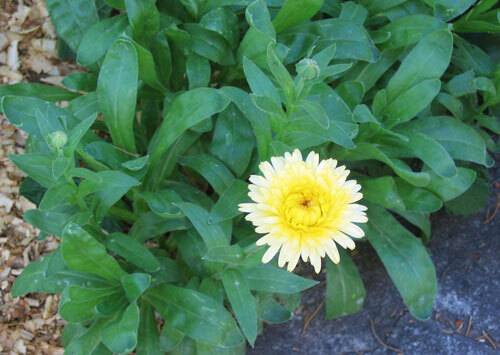 My #4 Flower Mystery was generously solved by Nathaniel, a visitor to the site. I am very grateful for his help. Benefits: Aside from being an attractive ornament flowering plant, the Chinese violet is eaten in some African countries and it is also a stapel of African traditional medicine. It is also an attractant for bees and butterflies. Photographed: At the Latour Farm in Tobago, in 2018. 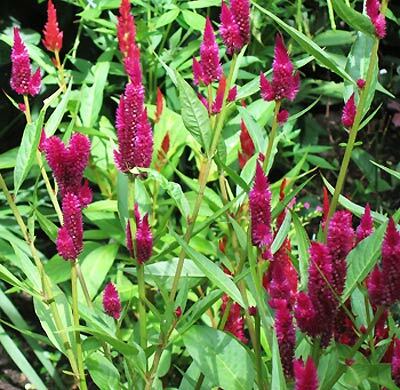 Planting and Care: This lovely perennial is considered invasive in some parts of the world. In fact, it "invaded" my garden and lived with the spider plants where it received full sun and relatively frequent rainfall. To see it living with the spider lilies, please click here. Who can imagine a baked potato with sour cream and no chives -- not us, so we now have chives growing in the garden and use them liberally on our baked potatoes and lots more. Benefits: The Chinese seem to favor chives as an all around cure all for everything from stomach aches to stuffy noses and, aside from dressing up your baked potatoes, chives do provide enough vitamin C, potassium, folic acid, and iron to make them an valuable addition to soups and stir fries. 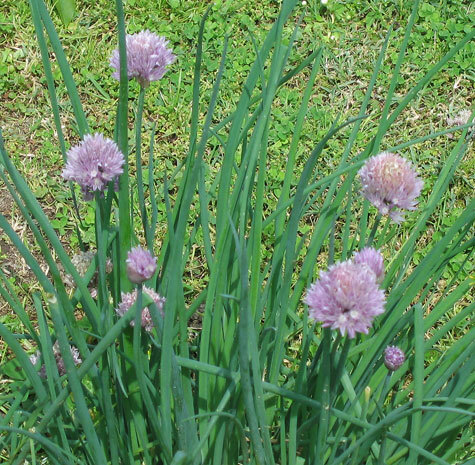 Planting and Care: Chives are in the onion family and they are perennials so once you get them growing you will be rewarded for years to come. 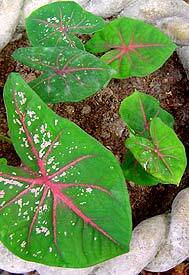 They will grow in full sun or partial shade (especially in a tropical environment) and they like a moist fertile soil. They are ideal for planting somewhere in your flower garden as a border plant because of their twelve inch gray green spiky stems and now and then their small, but pretty lavender flowers. 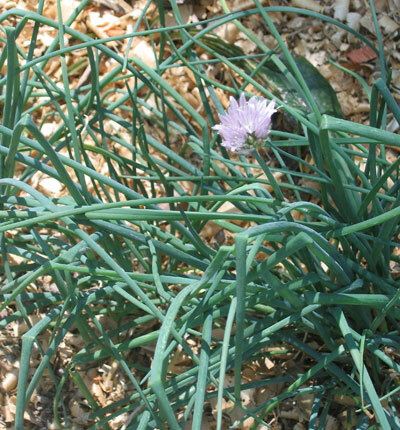 Normally chives are purchased in small clumps ready for planting in the garden. In Montserrat there weren't any such clumps, so we planted seeds and they did just fine. I planted a packet of seeds in our garden at Lake Atitlan a year ago and we are now enjoying them once again. Photographed: In our garden at Lake Atitlan in Guatemala in 2013. 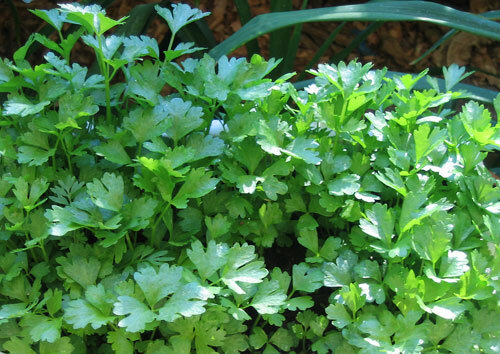 The fresh green leaves of cilantro are an essential ingredient in Mexican cuisine as they are also in Indian cuisine. 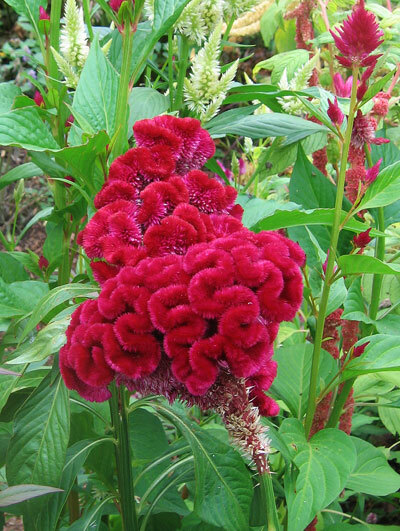 It is a very soft feathery plant that is easy to grow and pretty in a garden row. When the plant matures and produces seeds, they are called coriander, another of the world's favorite flavorings. Benefits: Cilantro is said to enhance your immune system, to aid in digestion and maybe even to help in ridding your body of accumulated toxic metals all of which can't be bad for something that tastes so good! 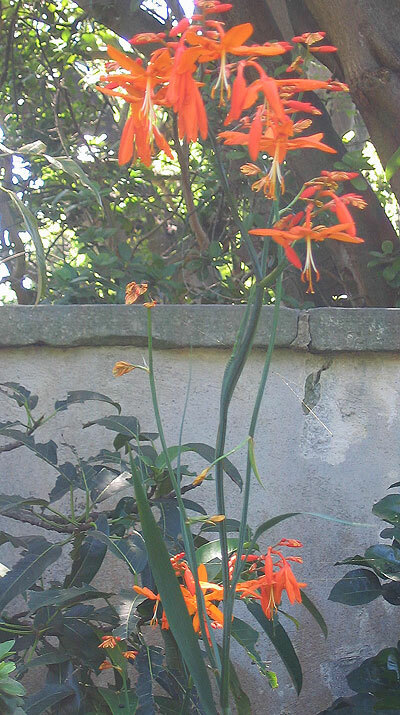 Photographed: In the upper garden at our former home in Montserrat. Planting and Care: Sometimes cilantro is considered difficult to grow, but I can't imagine why. Soak the seeds in water overnight the day before you will be planting them. Work your soil as you normally would and drop in the seeds. Cover with about one inch of soil and tamp down. Keep watered lightly for the two or so weeks it will take the plants to poke out of the ground and they water regularly as you would just about everything else in the vegetable garden. 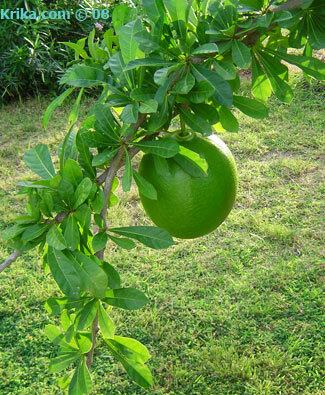 Benefits: Citron has numerous health benefits aside from its use as a flavoring. Planting and Care: Plant this small tree or shrub in full sun in a warm climate with adequate rainfall or watering to ensure maturing fruit. They like a well drained soil. They prefer full sun, well-drained soil and areas with warm, dry winters and cool summers. Cinnamon has become one of the latest foods touted to save or completely transform your life with its anti-inflamatory and antioxidant properties. I'm not such a follower by nature that I'm buying what they're selling, but I doubt it will hurt you if you consume it with common sense and it tastes wonderful so why not give it a try. Please don't try to take it dry and do avoid the artificial stuff at places like Cinnabon. We first saw this tree at a friend's house in Montserrat. It was loaded with fruit and we wanted to know all about it. She accommodated us immediately by picking a cherry and popping it in her mouth while talking about having eaten the fruit with her friends when they were school children. Within a minute she had changed her tune as her mouth filled with gluey saliva -- this tree didn't get its name for no reason. 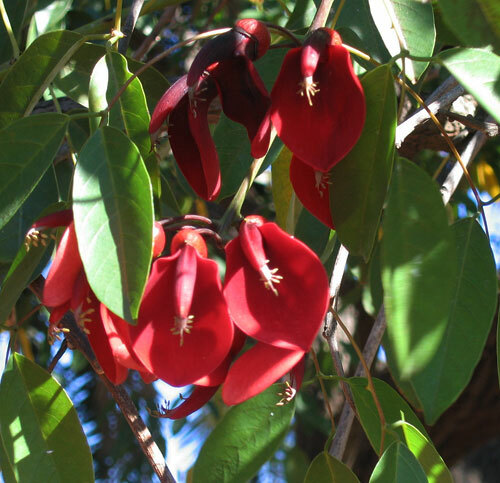 Planting and Care: This is a weed tree whose seeds are distributed by the Jamaican Fruit Bat. It is unlikely you would want one of these trees in your garden. This lovely annual is easily grown and blooms all summer. 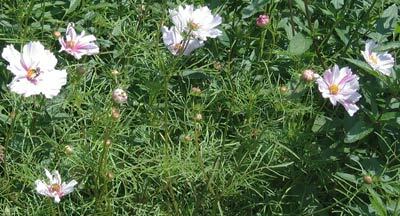 Benefits: Bees, butterflies and helpful insects all love cleomes as much as we do. And, there are possible health benefits as well. Photographed: On the left In the Blithewold Garden in Bristol, Rhode Island in 2013. All others In the Botanical Garden at the Hotel Atitlan on Lake Atitlan in Guatemala, 2010. Planting and Care: Plant seeds in trays ahead of time or seedlings directly in the garden. 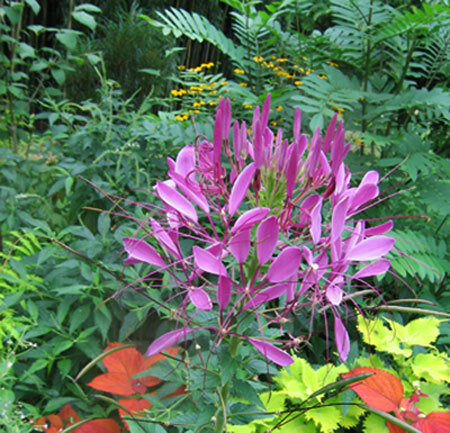 With full sun or a little mid day shade and regular rainfall or watering, cleome will keep you happy with its blooms atop its attractive 3 to 4 foot foliage. Pests: Aphids, spider mites and whiteflies. What else is new? Benefits: Aside from the wonderful flavor it imparts to so many of our favorite foods, cloves are a wonderful way to soothe the pain of a toothache. Cloves are also said to have a wide range of other medicinal benefits especially for digestion and for the respiratory system. Planting and Growth: The relatively small tree that produces what we know as cloves requires a year round hot humid rainy climate with temperatures not exceeding 100° F. This is one tree that is probably best left growing on clove estates in the Far East. 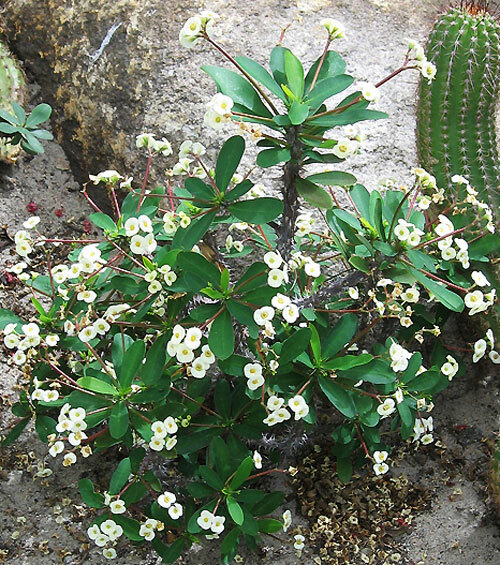 This is a large open branched bush with smallish leaves that have a pale white stripe down the center. I did not find it to be a particularly attractive plant. 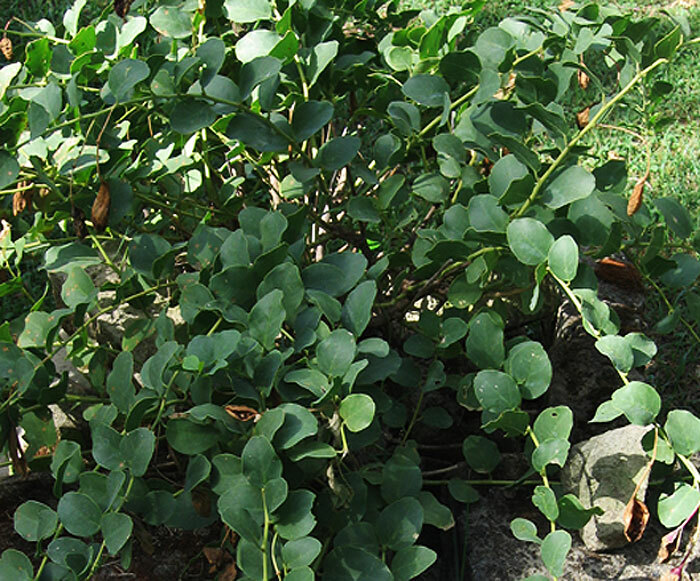 Benefits: In Montserrat it is used to steep a tea for an extra bit of energy, hence its local name, the "energy bush." In La Paz, Bolivia, and the surrounding high altitude cities, towns and countryside, older women sit on sidewalks selling dried coca leaves to be used in tea or to be chewed and it is entirely legal. Planting and Care: Hot and humid places favor its cultivation though much of it is grown at higher altitudes which are cooler and drier. 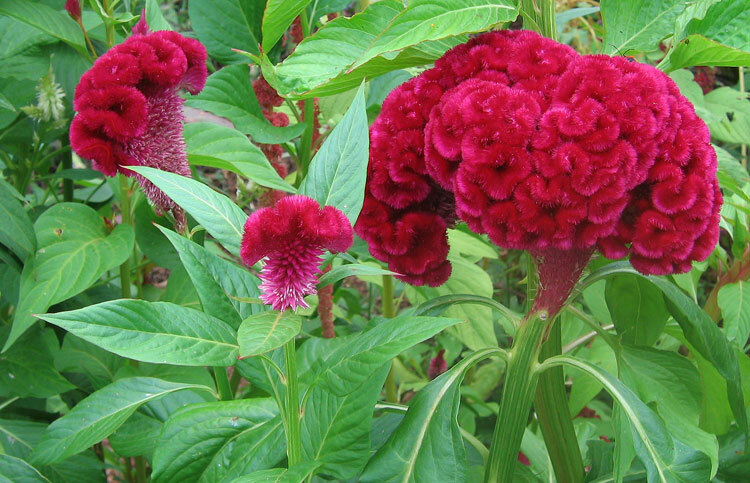 In Mexico this is a very peculiar always very red flowering plant is a major part of Day of the Dead celebrations all over the country. For that reason I have always had a sentimental attachment to it, but otherwise I found it rather unappealing. Recently I've had a chance to change my mind when seeing young plants growing at a nearby Botanical Garden when we were visiting Guatemala. Benefits: Cockscomb has both nutritional and medicinal benefits. 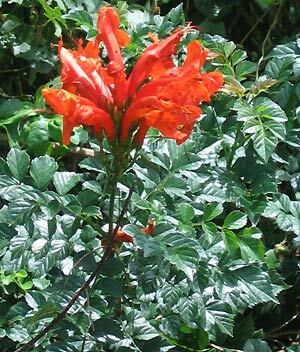 Photographed: In the Botanical Garden at Lake Atitilan in Guatemala in 2010 except where otherwise noted. Planting and Care: The full sun of summer along with the often times accompanying rainy season makes life just perfect for the cockscomb. This is a small tree usually growing to about 8 feet in height though sometimes it will stretch upward by a few more feet. 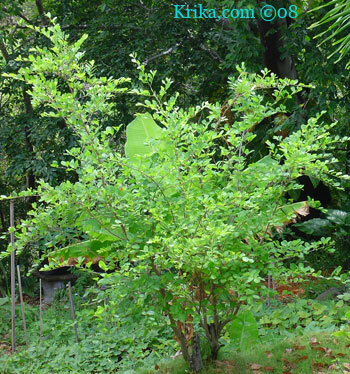 Because of its small size it is often considered a shrub rather than a tree. Either way it's terrific blooming for months on end. 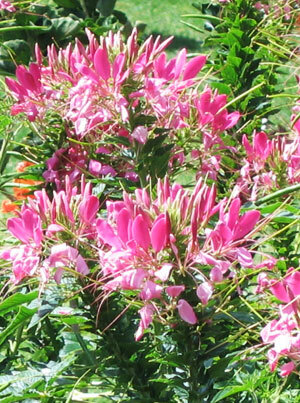 Benefits: The flowers of this pretty tree will attract butterflies and hummingbirds. Maybe best of all they are deer resistant. Photographed: At the Blithewold Mansion, Gardens and Arboretum, in Bristol, Rhode Island, USA in 2014. 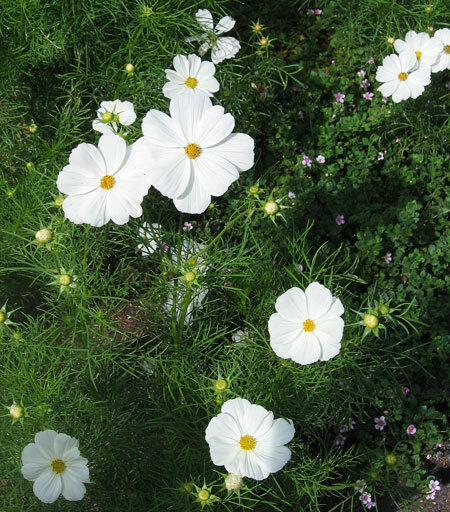 Planting and Care: Plant this delightful plant in full sun in a relatively dry area in your garden. Best of all the coral bean is hardy to about 20°F though I wouldn't recommend counting on that with the global changes in climate we are now experiencing. My #5 Vine Mystery was generously solved by Nathaniel, a visitor to the site. I am very grateful for his help. This is a peculiarly attractive tree which first caught my eye on a real estate search for a property on Lake Atitlan in Guatemala. That first little tree was very sad though it had an appeal I can't name. I spotted another of these little trees in Argentina, but didn't connect the two. Then as if hit over the head there was one very happy little tree in New Zealand and I connected the dots. 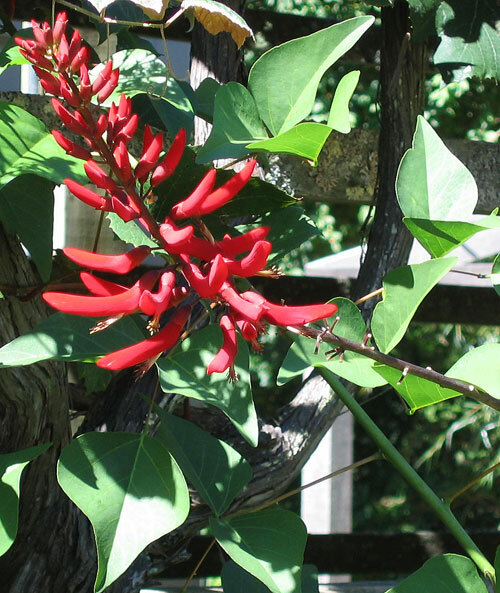 From: The cockspur coral tree is native the neighboring countries of Argentina, Uruguay, southern Brazil and Paraguay. Planting and Care: This is a small tree growing to a height of no more than 20 feet. In natural settings it likes to grow near ponds, waterways and swamplands. It must be planted in full sun and given adequate moisture, but it won't mind high or low pH soils from sandy to loamy. 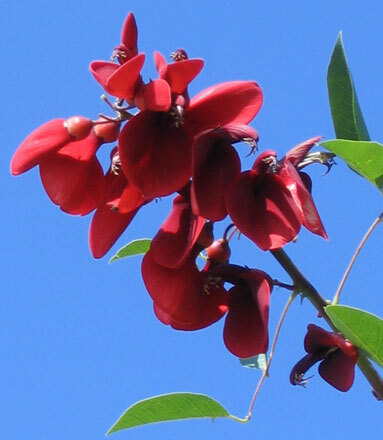 Warning: The cockspur coral tree is said to have strong narcotic and purgative effects and the seeds are considered poisonous. Photographed: In Panajachel at Lake Atitlan in Guatemala in 2011. Benefits: Comfrey is used as a fertilizer and as a medicinal herb. 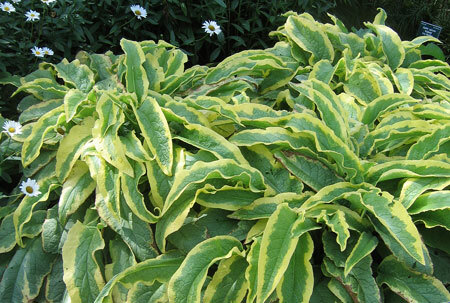 Planting and Care: This comfrey can handle full sun in rich, moist, well drained soil. Actually it does pretty well in partial shade too. It will grow to be at most 6 feet tall and about as wide and when well situated it will flower in early summer. Comfrey is a fascinating plant having a long history in medicinal uses and surprisingly an equally interesting history as a fertilizing plant. Wikipedia is a very good source of detailed information on both of the qualities. Most commonly known as a pond plant, this is an ancient plant on our earth. It will survive almost anything you can throw at it. Photographed: In the Japanese Garden in Buenos Aires, Argentina. Planting and Care: Ideally this ancient plant would like to live beside a sunny pond with its feet in the water. If you can give it even a little of that environment it will surely do very well for you. 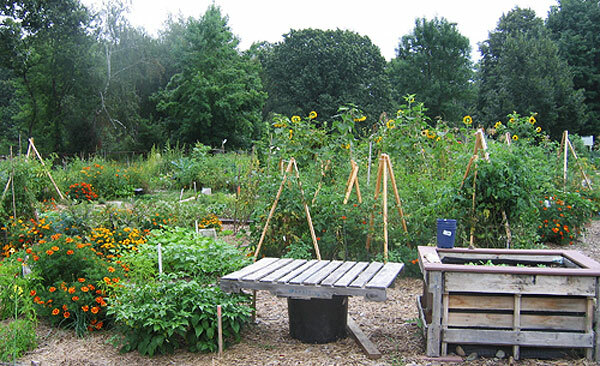 The idea of making land available to members of a community for summer or year round gardens seems wonderful. It allows people to grow foods that may be difficult to find in local markets and to plant heirloom seeds for produce that long ago was forgotten in commercial farming. Ideally there are restrictions on poisonous chemicals that may be used, though I suspect untrained gardeners may turn to them when they are having problems with vegetable eating insects. 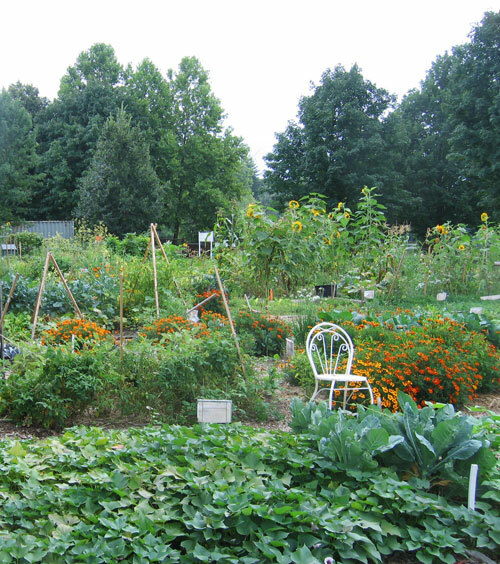 The garden photographed below had another purpose in that it served as a training ground for students studying agriculture at nearby colleges. Best of all, the foods these latter folks grew were given to homeless shelters providing them with a free source of nutritious fresh foods. Flowering in reds and oranges over a long period of time these iris family plants are similarly rooted in corms and as delightful as iris. 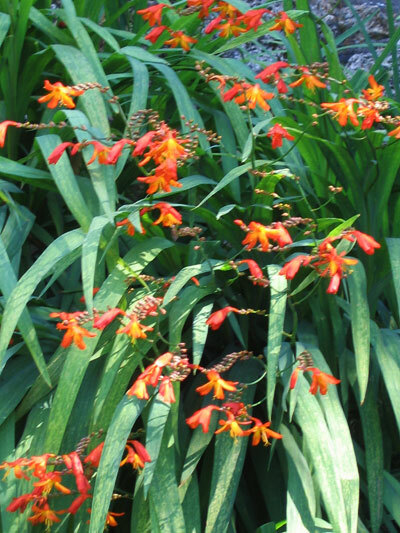 Planting and Care: In cooler climates, plant Crocosmia in late spring when all danger of frost is over. Plant them in full sun and see that they receive regular rainfall or watering. Be a little gentle with the corms as they are easily damaged. Benefits: Birds very much like dining on the bright red berries. It has also been used in traditional Chinese medicine. 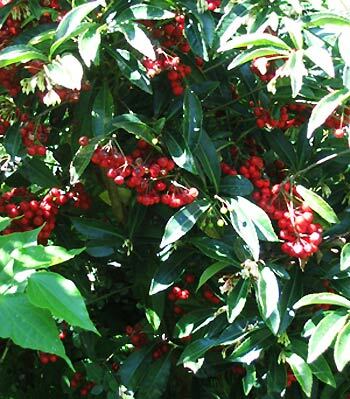 Planting and Care: Coral Ardisia is tolerant of soil, light and moisture variations making it an easy plant to grow. It does like a moist soil if it's available. It has shiny rather leathery deep green long leaves and lots and lots of red berries. It will grow normally to about 3 feet in height, but occasionally it will be taller. 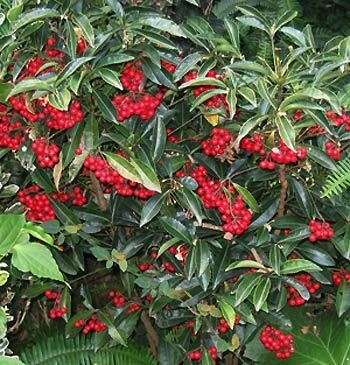 In Florida the coral ardisia has become an invasive plant crowding out and shading native plants. 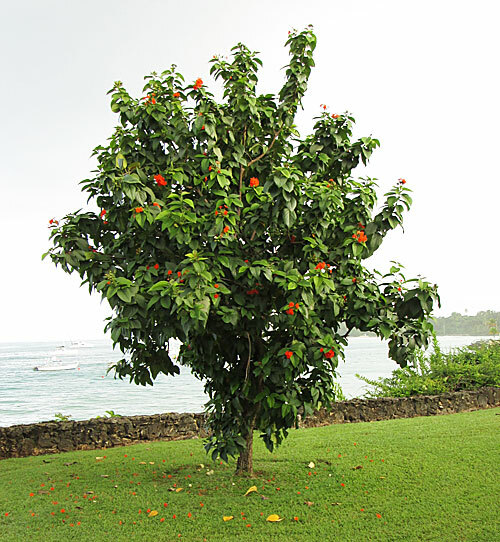 This lovely tree has large round medium green papery leaves and routinely bears clusters of very attractive reddish orange flowers which are most abundant in the spring and summer. 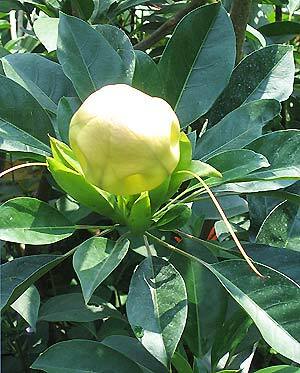 These flowers produce edible, but not tasty, white golf ball sized seed fruits. This is another of my survivor friends; the cordia is beautiful and tough! Benefits: The fruit in the photograph on the right below is both edible and medicinal. A medicinal syrup made from any part of the tree has been used in treating coughs. 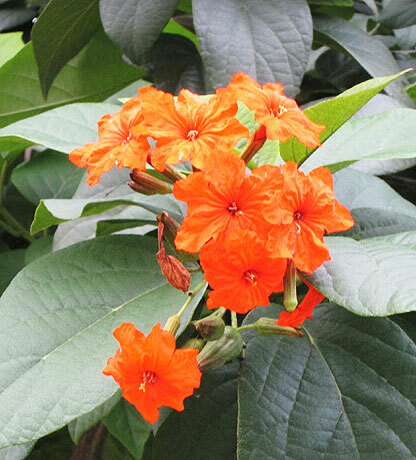 From: The cordia tree is native to the Caribbean and Central America. 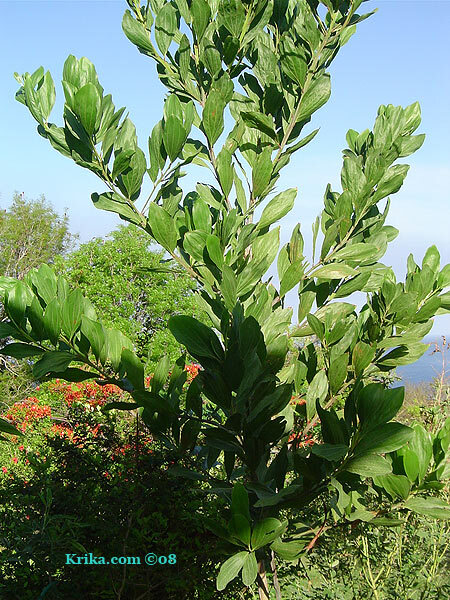 Planting and care: The cordia is well adapted to growing in dry and even salty conditions. 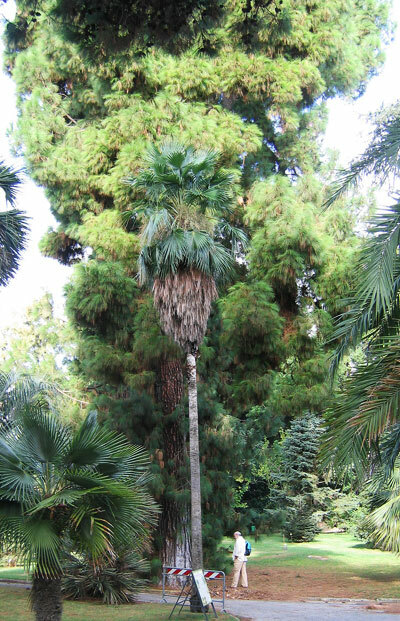 In ideal conditions it will grow to be about thirty feet tall with a spread of about fifteen feet. 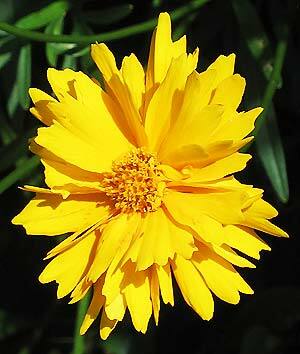 This bright, beautiful, intense yellow flowering plant makes a great summery border in late spring/early summer. It will grow to be about two feet tall. 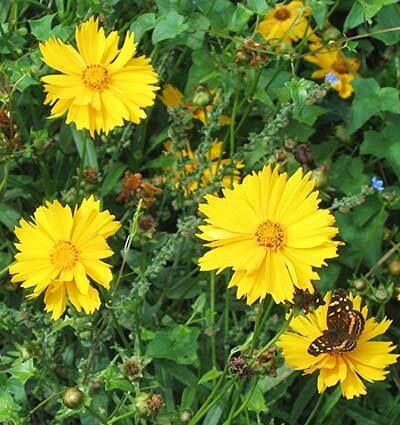 Benefits: Some members of the Coreopsis family have medicinal benefits, but none really stood out. 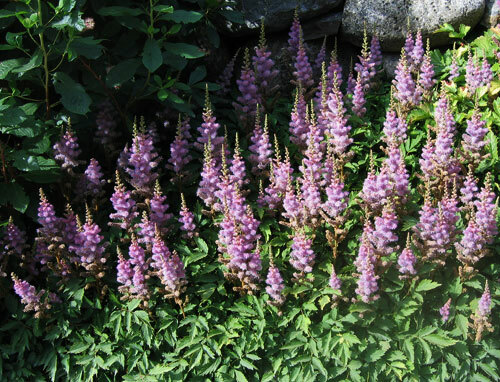 Planting and Care: This wonderful plant can be a perennial which seems a terrific bonus. If you are planting from seeds, be sure not to bury the seeds in soil. They need sunlight in order to germinate. Once growing in full sun, they are easy to care for if given a little watering during very dry periods. They will have bountiful flowers and more will keep coming if you snip off (dead head) old blossoms. 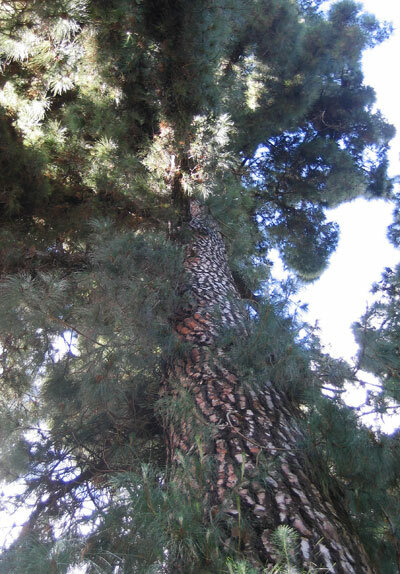 The cork tree is medium sized eventually growing to be about 60 feet tall and it is quite slow to grow, but it will do so for many, many years. Its life expectancy can be 250 years, so it is probably a good thing that it doesn't grow too fast. The tree itself is not spectacularly attractive, but then you will look at the "bark" in total wonder. Benefits: This is the tree that provides us with wine corks, flooring and more. Photographed: To the left in the Palermo Botanical Garden in Sicily, Italy. 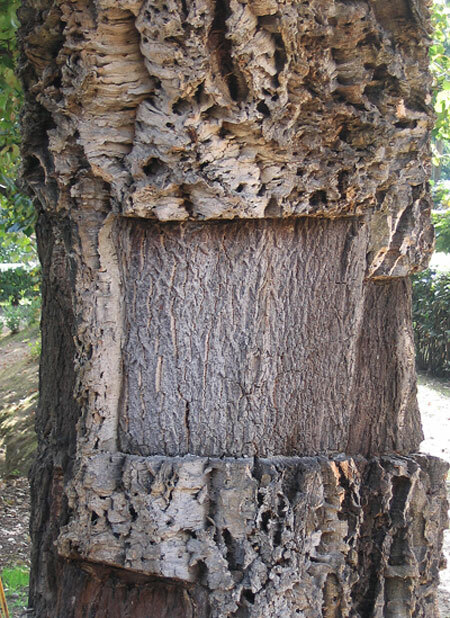 Below are photographs of the bark on a cork tree. I found it fascinating and you may too. Planting and Care: It is said to prefer an acid soil, as do most oaks. If you are serious about growing one from seed, check on your favorite search engine for directions. Trees can be tough to get growing, so if you can buy a small seedling that's probably the way to go. This was one of my vine mysteries graciously identified by a visitor to this website GreenGardeningCookingCuring.com. I'd like your help too! This is an exuberant flowering vine that I saw for the first time in New Zealand. I vowed that I would have one some day, but had no idea what it was called until a few months ago when one of the site's visitors wrote to tell me about it. I was thrilled thinking I could order the seeds or even a plant. Little did I know how generous this visitor would be. Right away she offered to send me some seeds and indeed she did. I have little plants now thriving in a pot, soon to be placed out in the garden to climb the walls with morning glories, wisteria and passion flowers. 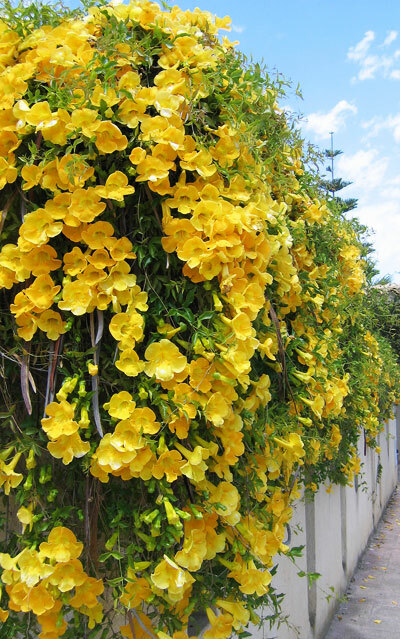 Planting and Care: Once set in, this is a vigorous and high climbing vine so give it a lot of space. It would be a shame to have to keep it trimmed to a small space. Whether you grow this from seed yourself or buy a plant ready for the garden, plan to set it in an area of the garden getting as much full sun as possible, but at least six hours a day. Dig a hole about twice the size of the root ball and mix the soil with good compost, set the plant carefully so that its crown will be no deeper than the surrounding soil and add back the improved soil. Keep it moist, but not wet until it looks like it has settled in well. After that water when dry and enjoy. This is sweet corn, food of the Gods!! 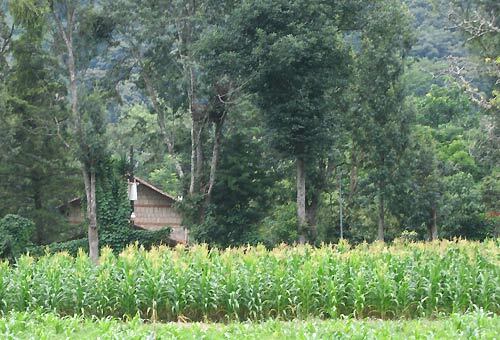 In the Caribbean cooked ears of corn are sold by the roadside and we sometimes see a small field of corn growing. 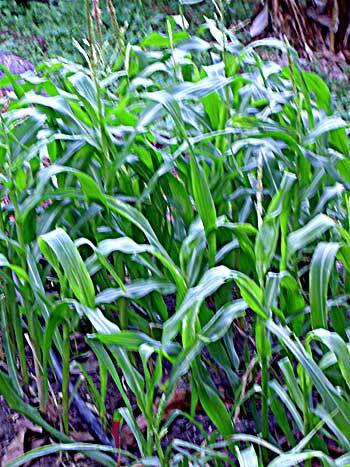 As in Mexico, hot weather makes for tough corn, what I've always called "Cow Corn," which grows and is prized in the American southeastern states. It just doesn't equate with the dozens of ears of northern grown sweet corn that I've consumed every summer all of my life. I grew corn in my garden in Washington, D.C., and confirmed my belief that corn is a field crop, meant to grow on acres and acres, not in a dedicated six foot by six foot corner of the backyard garden. We planted sweet corn in our banana garden in Montserrat, but it didn't work out well. Benefits: As all of you know who have eaten sweet corn on the cob, corn is a great source of fiber. But, it also has vision improving antioxidants and a lot of vitamin C.
Photographed: On the left in our banana garden at our former home in Montserrat and below on hacienda San Buenaventura land by Lake Atitlan in Guatemala. Planting and Care: Corn is a field crop and if you have a field you would be best to talk to someone in the Agriculture Department of your local university or college. They will be able to advise you on seed types all the way through harvesting. Be careful to plant only non-GMO seeds as otherwise you may be very unhappy with the health consequences of not doing so. 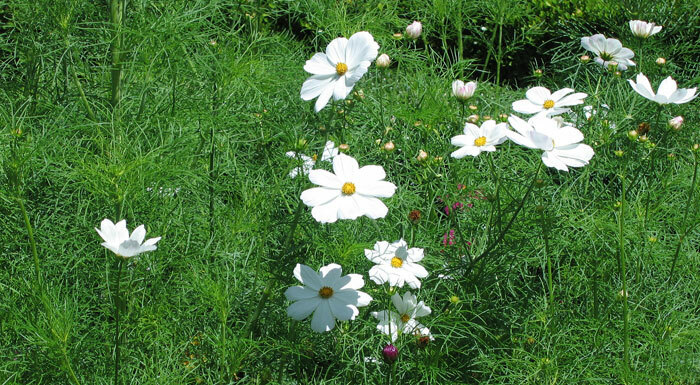 The feathery foliage and light papery quality of the flowers on cosmos are delightful in any garden. Being relatively tall, about 2 feet or so, they make a perfect backdrop for lower growing flowering plants. From: The Americas, the USA to Paraguay in South America. 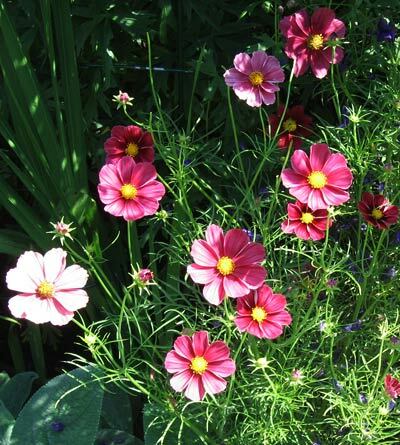 Planting and Care: Cosmos is an easy to grow annual, tolerating a most of the mistakes we can make in the garden. They do well in tropical and warm climates lending an air of gentility to what can sometimes seem too exuberant and exotic greenery for those of us raised in northern climates. This is a delightful easy to care for orange, red, pink, white or yellow flowering spiny cactus plant I had indoors in New England for years. These are photographs of this plant growing outside. 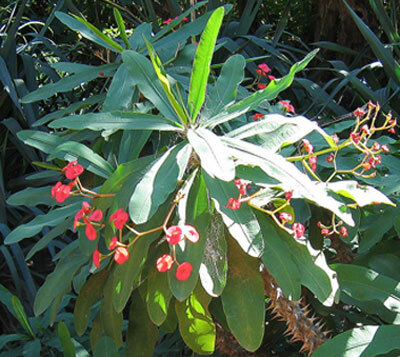 Benefits: The crown of thorns is believed to have many wide ranging health benefits, some of which have been incorporated into 'modern' medicine. 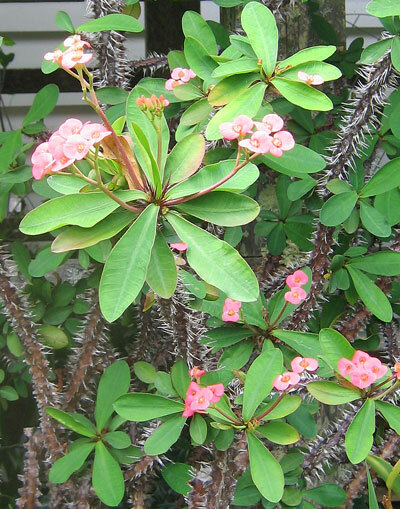 Planting and Care: The crown of thorns makes a great houseplant, being very forgiving of indoor conditions and maybe even the occasional forgetting of water. Water your plant only when the soil has completely dried and give it a very occasional dose of house plant fertilizer. Set it in a window that gets around 4 hours of sun a day and you'll have a very happy plant. Photographed: In the Carlos Thays Botanical Garden in Buenos Aires, Argentina in 2011. What is known as a pickling cucumber in the United States is the one most commonly sold in Caribbean food markets all the way from Trinidad & Tobago to Montserrat where we had a home for a decade or so. This plant holds up very well to the strong sun and heat in that part of the world. One year we planted a Chinese variety of cucumber, one of those very long skinny ones with the soft skin. At first they grew well and we had some six inch young cucumbers, but in the end this was not a successful variety in a tropical environment. Benefits: Eat the skin of organic cucumbers for vitamins A and C and the fruit for its sulfur which is beneficial to your skin, hair, and fingernails. Photographed: In our garden at our home at Lake Atitlan in Guatemalan 2014. Planting and Care: In a New England summer time environment, cucumbers of all varieties seemed to grow like weeds. Mound up a bit of good compost rich sweet soil, plant three or four seeds about 1/2 to 1" deep, water and wait for the harvest. 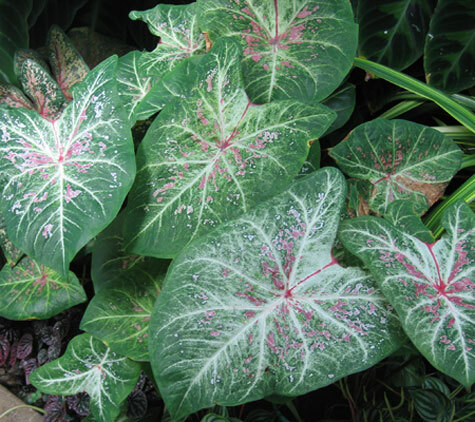 In tropical or warm climate gardens they prove a little more difficult. In the Caribbean, we always planted seeds two to a styrofoam cup of good soil. Seeds planted directly in the garden never germinated. At Lake Atitlan where we now live, I have had fair results with cucumbers, but never the bountiful crop I always had in New England. Cumin is an essential ingredient in many Indian dishes and in such old American southwest favorites like chile con carne. Along with oregano and cloves, cumin is the third major ingredient in standard American "chili powder." It is aromatic whether used as whole seeds or ground. The plant grows to be about 12" high. We are going to plant it this year and see what happens. We'll take a photograph and put it here if all goes well. Benefits: Cumin has been used to cure many disorders, but it is maybe best known as a digestive aid and as a boost for the immune system. Note: As you can see from the date below, no photograph was taken and no plants thrived. This is a new vine in the garden with no photograph as yet. It is very appealing having caught my eye at the local garden shop and, best of all, it is easy to please. 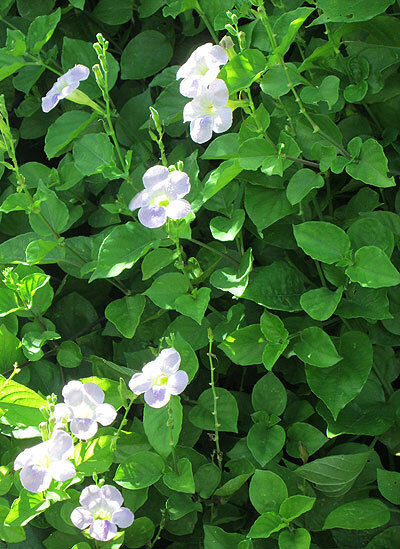 Planting and Care: This is best considered a tropical vine. It likes full sun and regular rainfall or watering. 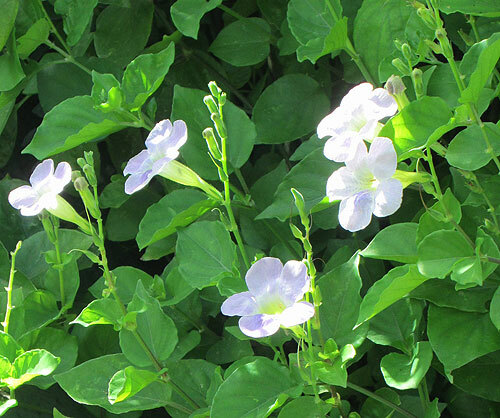 It will reward your good care with lovely trumpet shaped purple flowers from spring through fall. It will stretch to be between 10 and 20 feet tall and 3 to 6 feet tall. This is one of my favorite spice mixtures having several levels of flavor that enhances everything it comes into contact with. It can be overdone though, if every food on the table tastes like curry. Benefits: As with garlic and green tea, curry is now being touted as the ultimate cure all -- alzheimer's to cancer. And if you think that one spice is going to cure your grave ills, I have bridge to sell you right away. That being said, eating curried cauliflower or cabbage may increase the impact that each one alone has on fighting cancer. 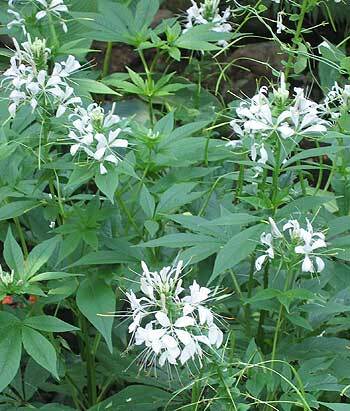 Benefits: Despite the poisonous nature of this plant, it has also been used as a curative. I don't recommend threading the line between healing and poisoning. 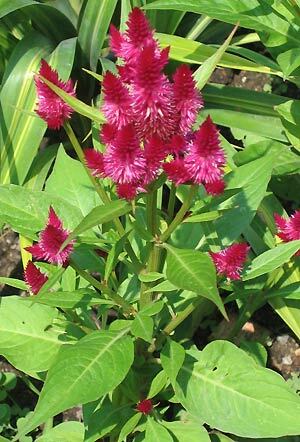 Planting and Care: These lovely perennials are frequently given as fall and winter holiday plants. That is their best blooming time when the weather is cool and there is more moisture in the air in their native environments. They will bloom for 2 or 3 months and the appear to be in decline and they are. They are preparing for a rest period when the flowers and leaves dry out & die while the tubers below the soil take their rest. When fall arrives begin to water lightly until you see signs of life and you'll be off and running for another few months of flowering.